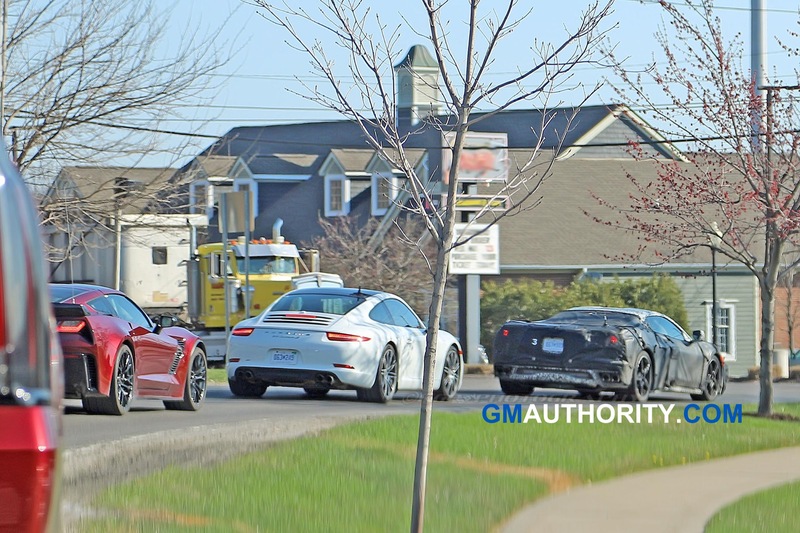 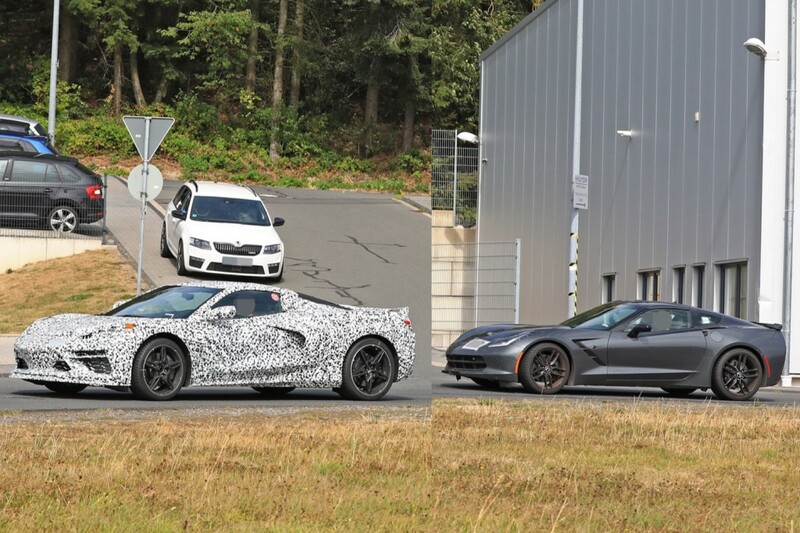 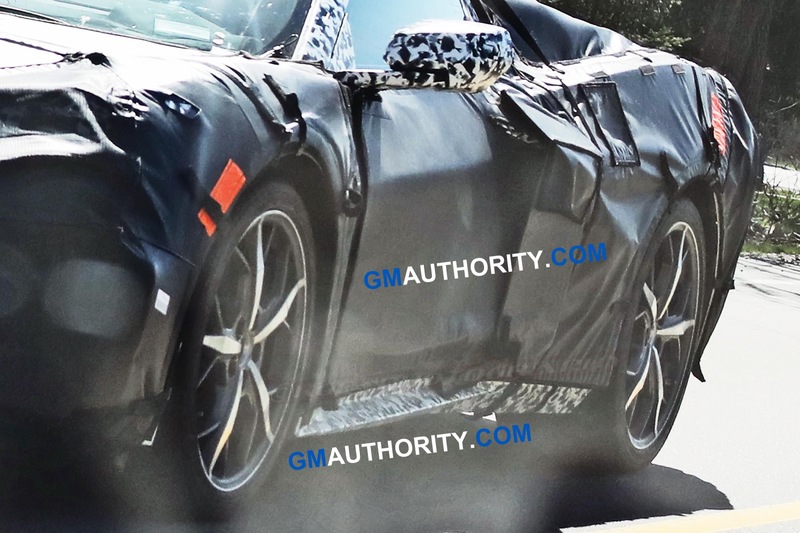 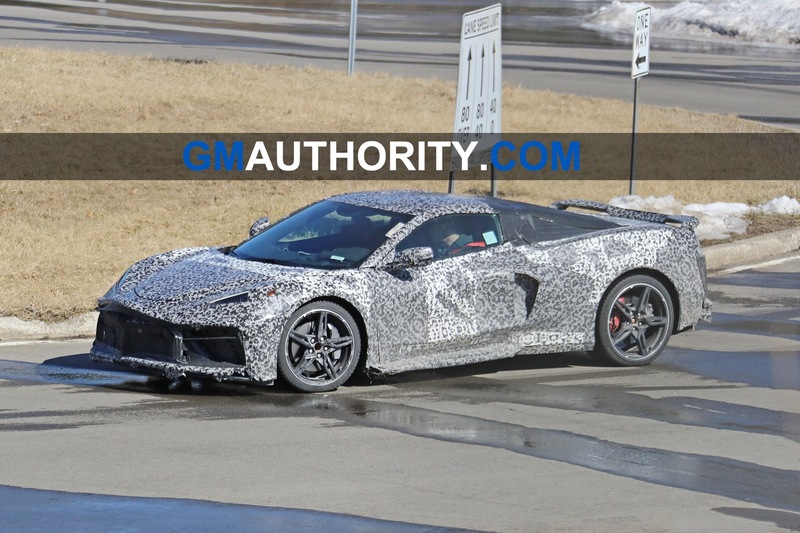 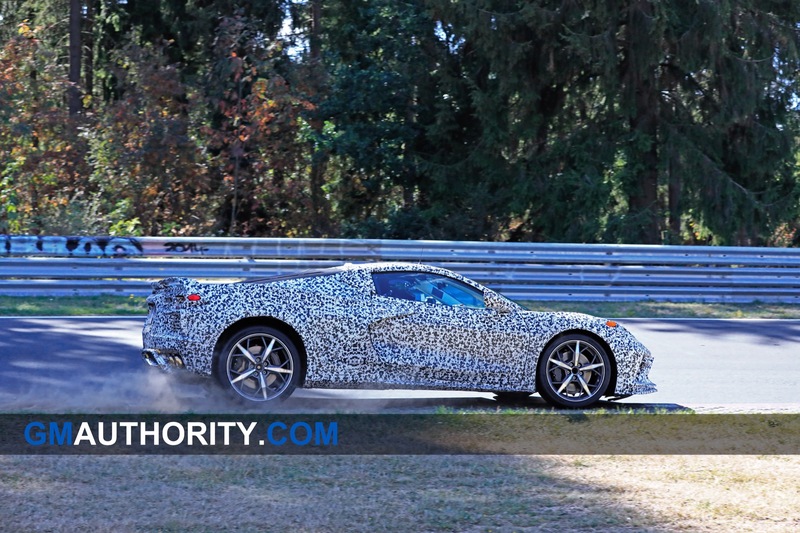 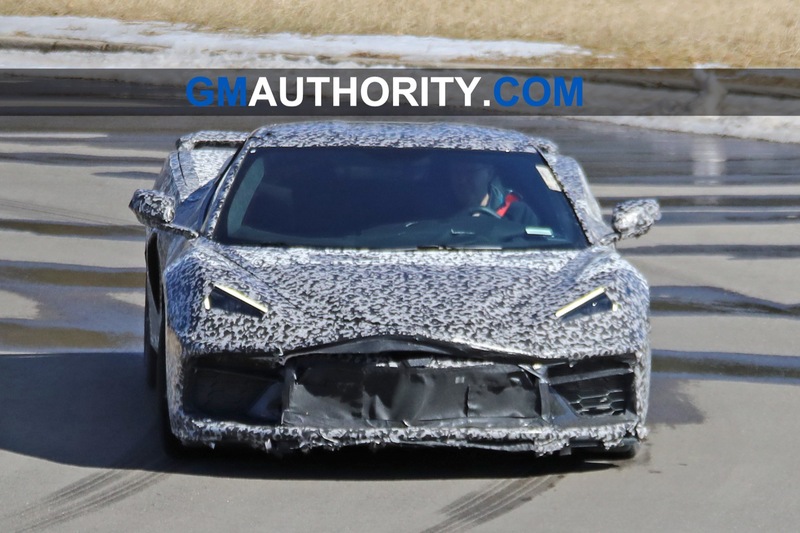 With the relocation of the engine from in front of to behind the driver, the Chevrolet Corvette will change quite dramatically between the seventh and eighth generations. 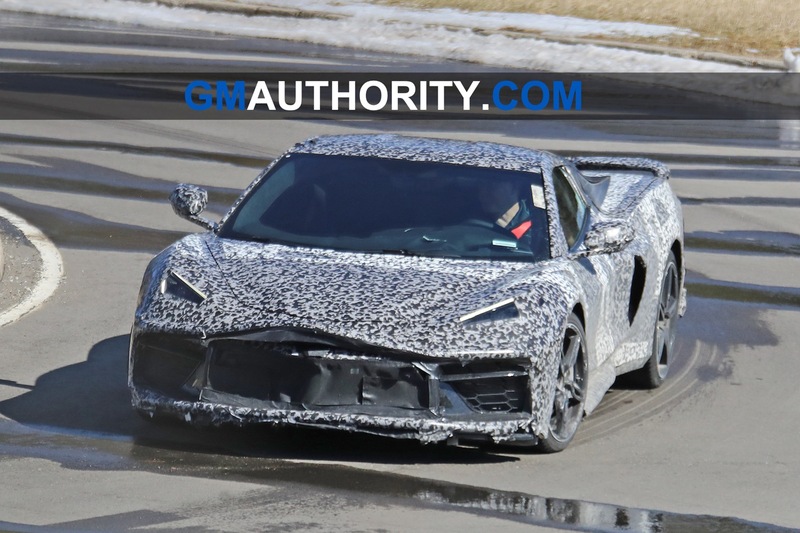 This isn’t just true of the handling and performance characteristics of the car, but as we highlighted in a recent piece, its aesthetics, as well. 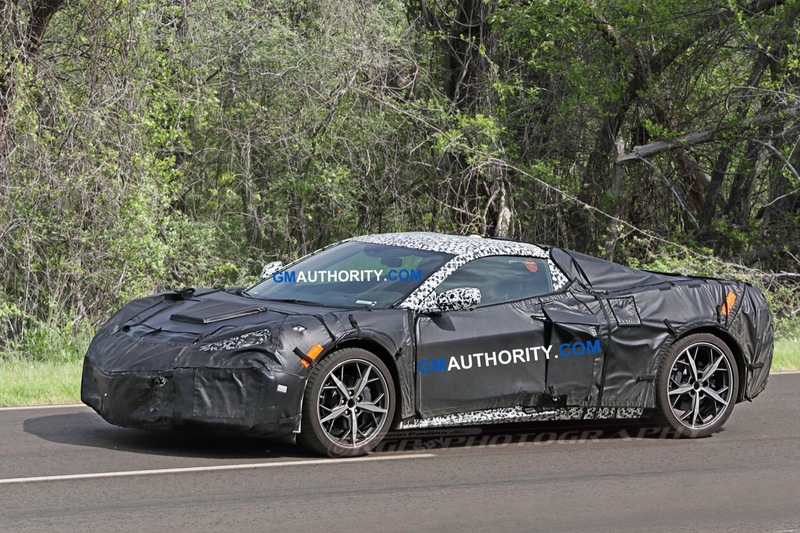 The coming drastic shift in the car’s proportions is something that YouTube’s TheCombustionGuys channel seems to have picked up on, as well, commenting on the topic in a recent edition of Combustion Guys News, or “CGN” – a video news series starring two Lego people narrated with silly voices, animated using stop motion. 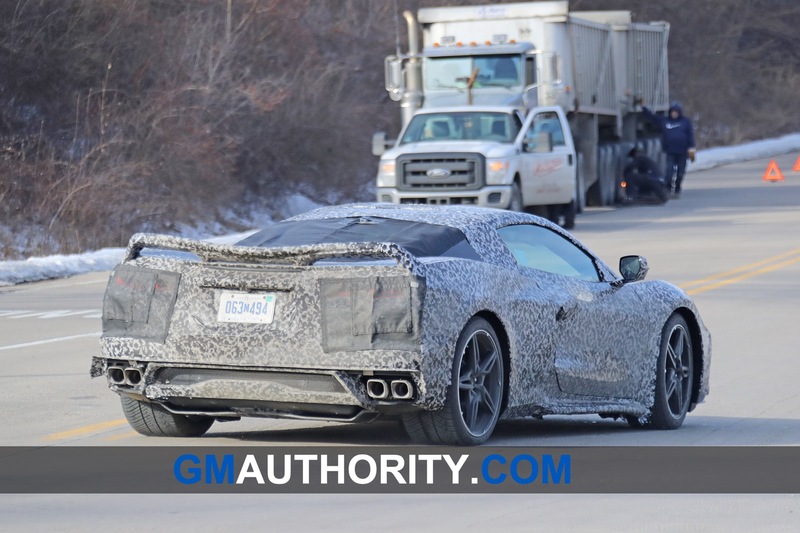 Because internet. 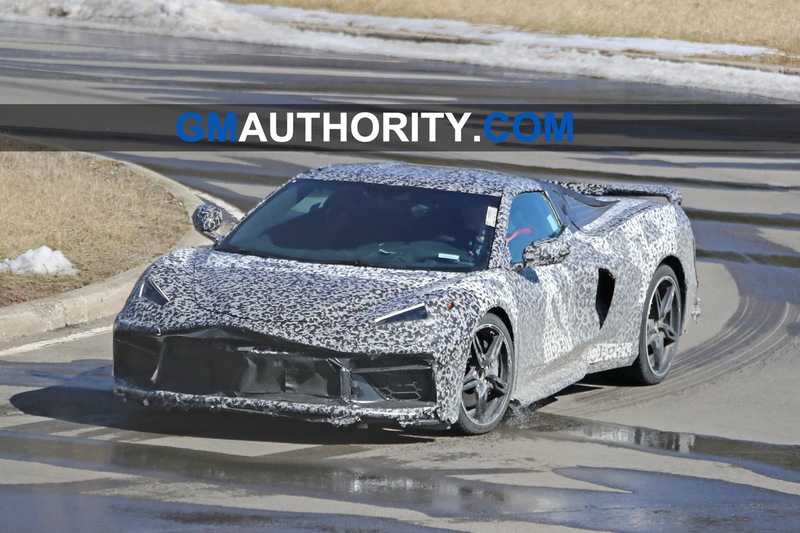 As wonderfully, hilariously strange as the concept of a Lego-presented news segment is, those little plastic men aren’t wrong to compare GM’s mid-engine Corvette prototypes with the new Acura NSX aesthetically. 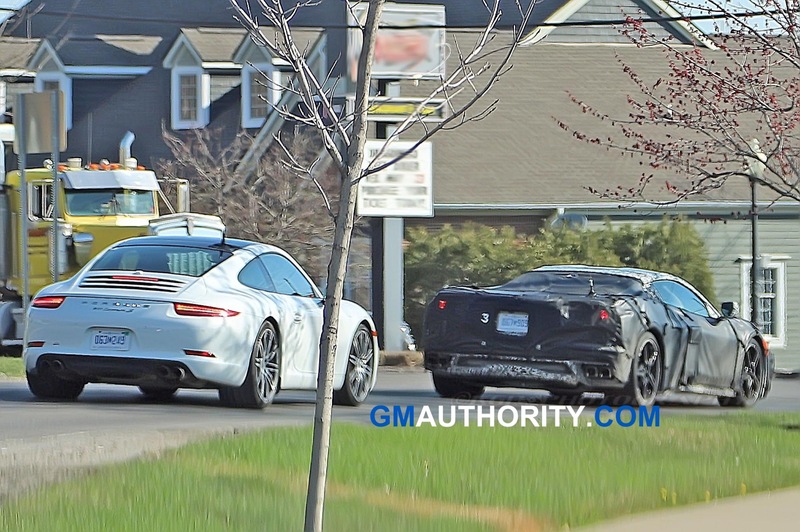 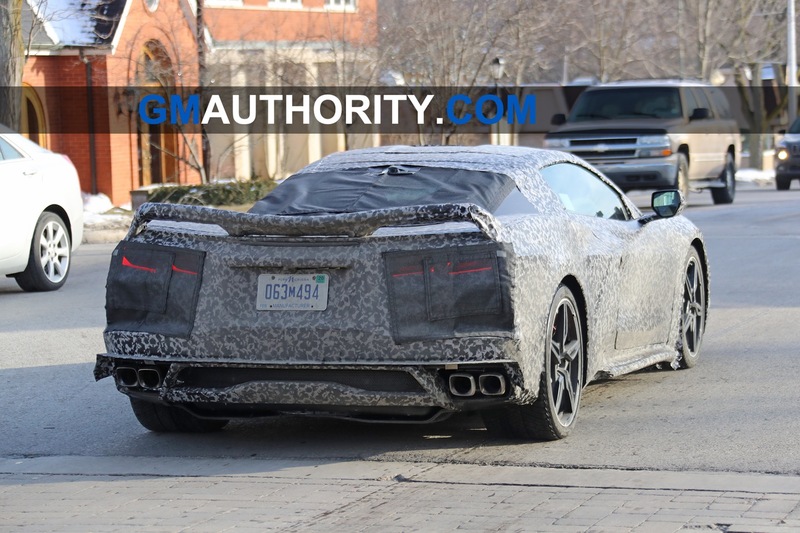 Both are rear-mid-engine sportscars, resulting in something of a cab-forward body profile with a short snout and a long rear end. 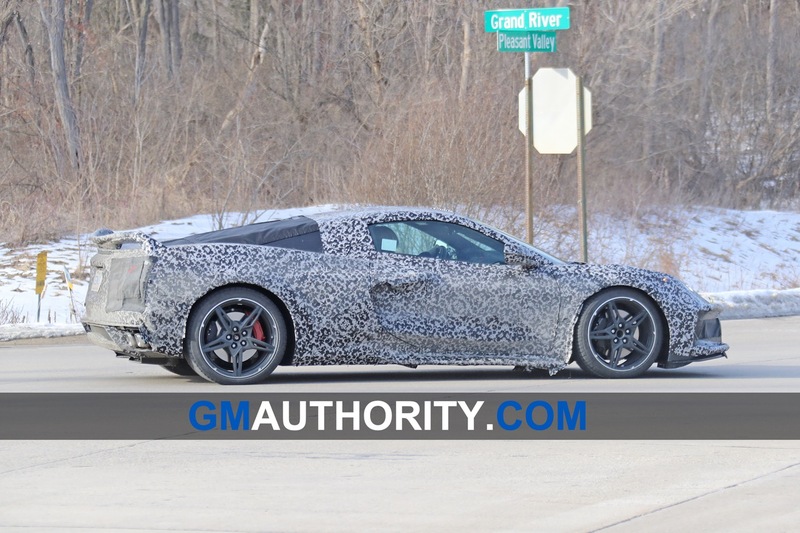 Where we disagree is whether the mid-engine Corvette should instead be sold as a Cadillac model. 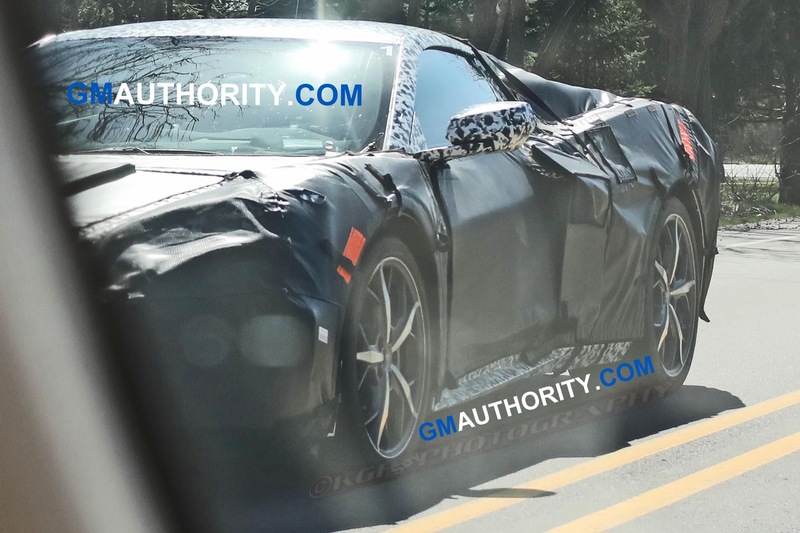 According to TheCombustionGuys, that’s a good idea; we tend to think that Cadillac ought to dial back its performance aspirations just a tad, and focus for a while more fully on offering world-class luxury. 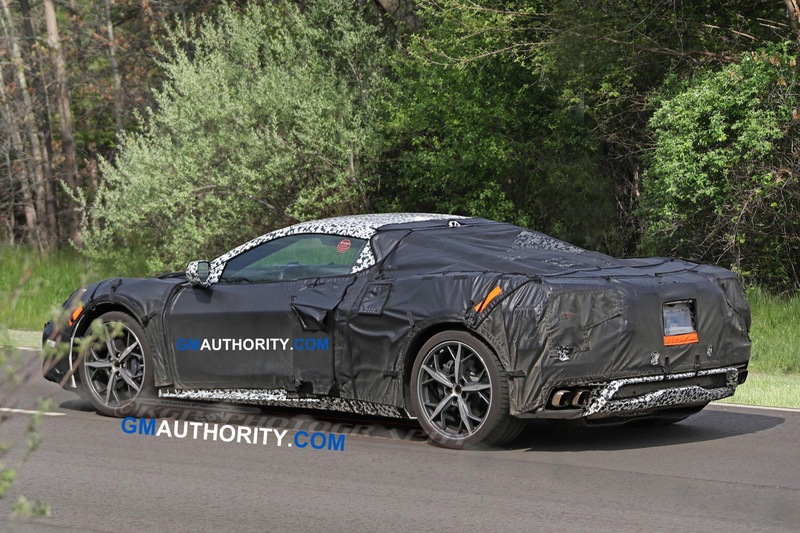 Of course, it all comes down to a question of what the Cadillac brand “should” represent, and there’s room for disagreement there. 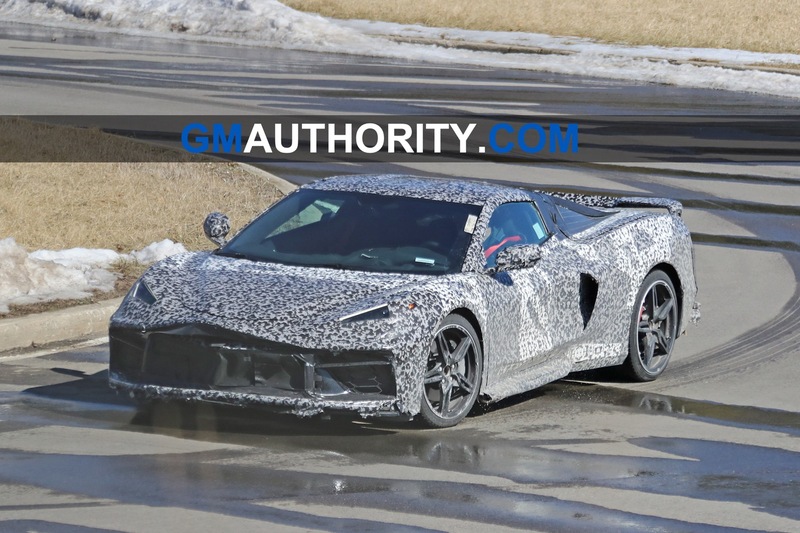 Whatever your own feelings, it can’t be denied that the mid-engine Corvette will look radically different from its forebears. 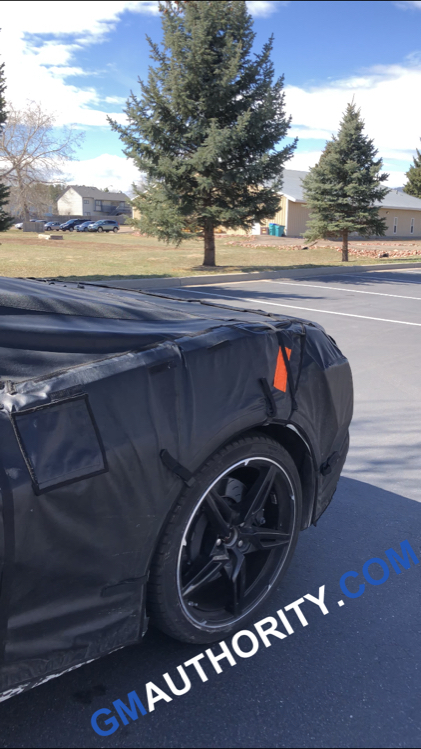 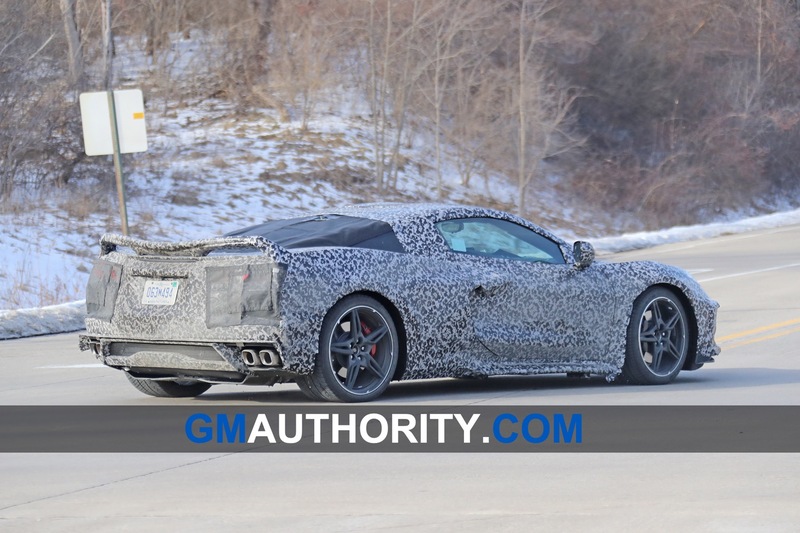 From the Chevy Corvette C2, launched for the 1963 model year, to the current 2019 Chevy Corvette C7, the two-door sportscar has morphed and evolved, but the basic idea has stayed the same: a pointed nose trailing back to a long, low hood, a short cab, and a fast, sloping rear. 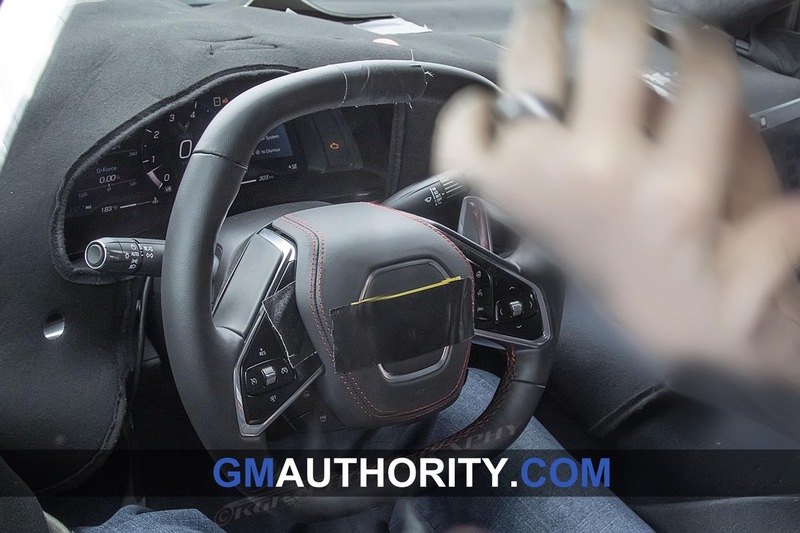 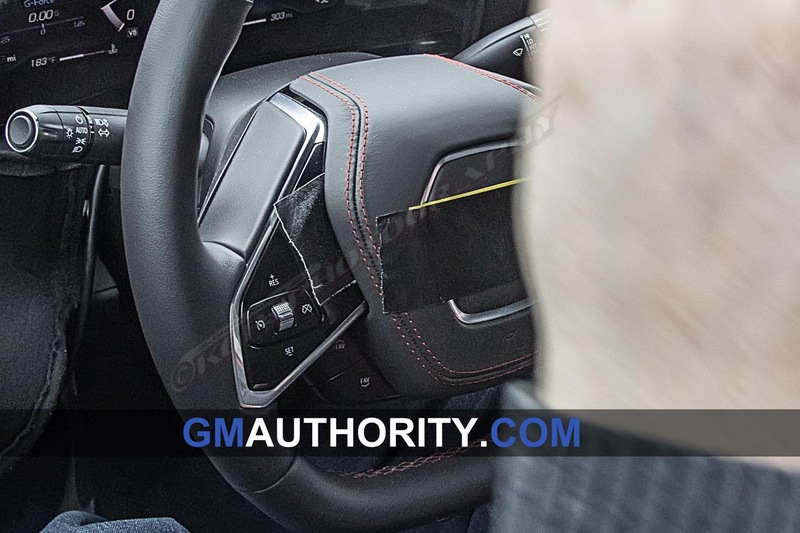 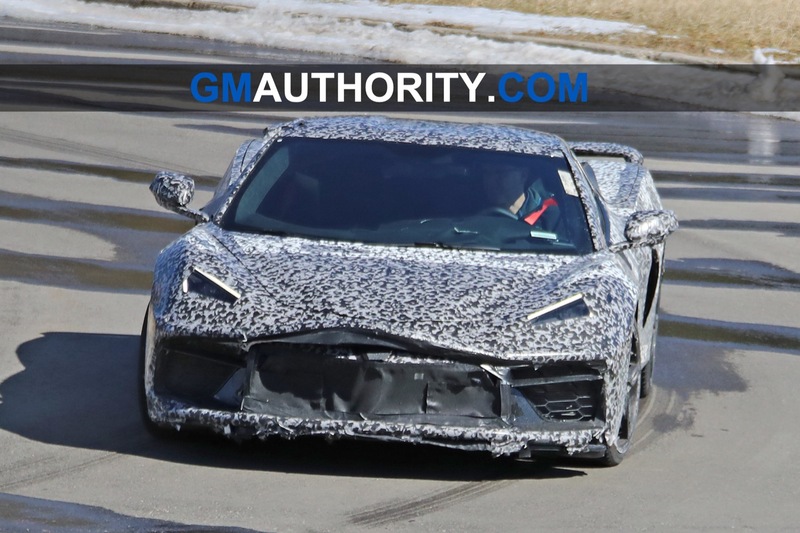 That idea could evaporate after 2019, effectively ending a set of design principles that have defined Corvette for more than 50 years. 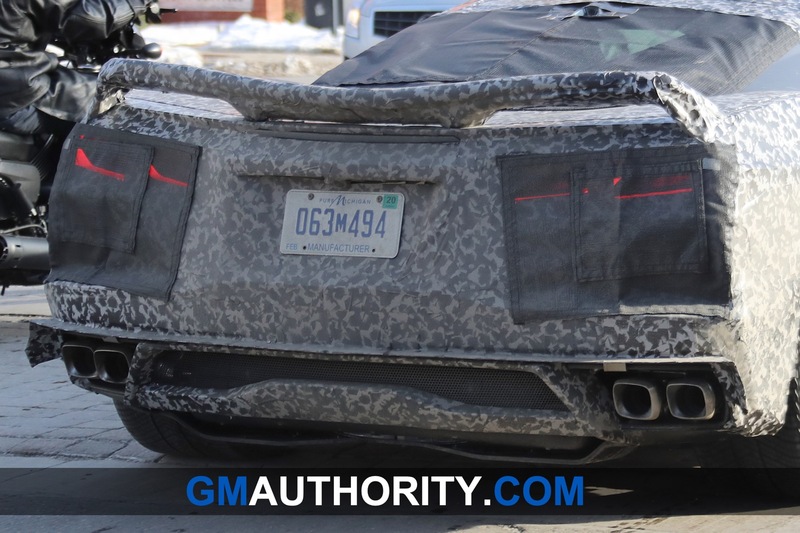 We’ll be sad to see it go. 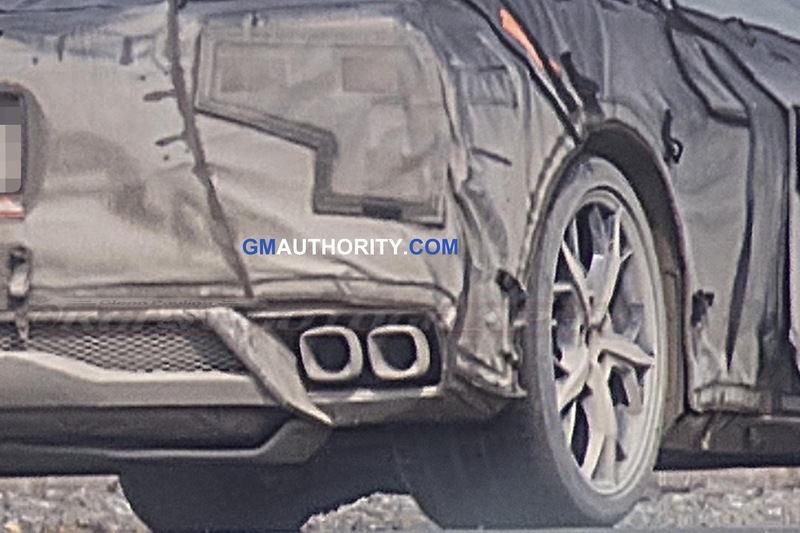 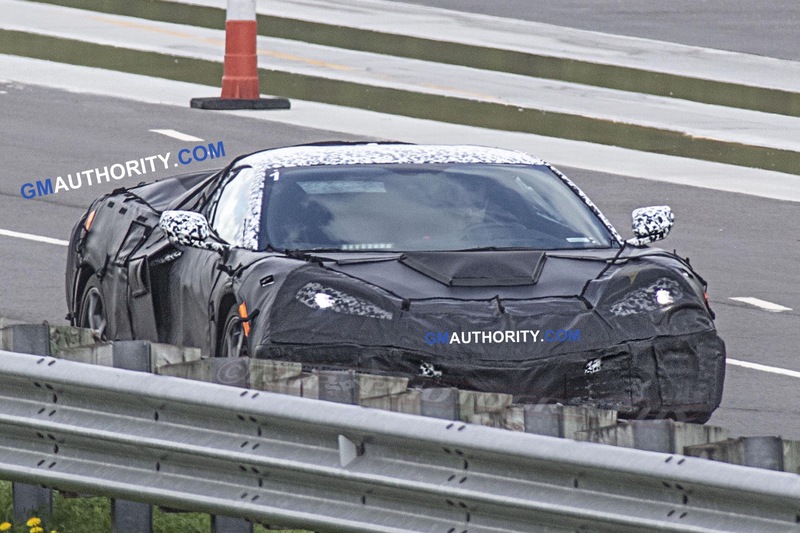 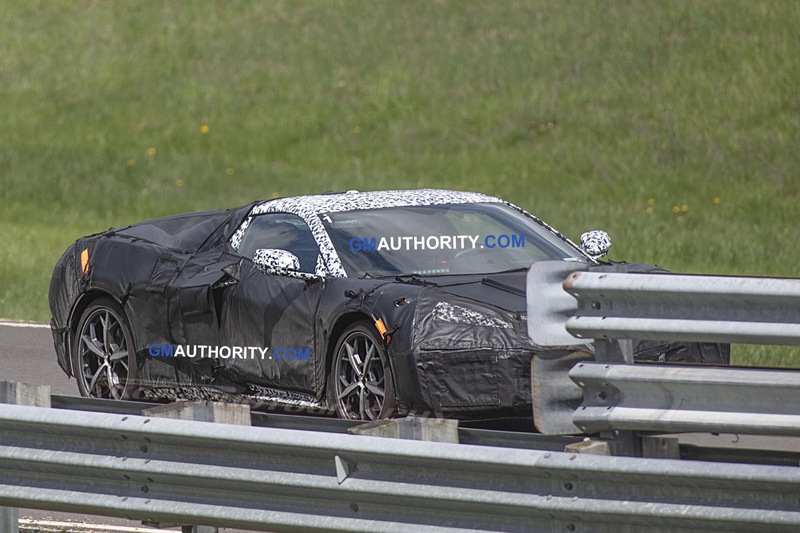 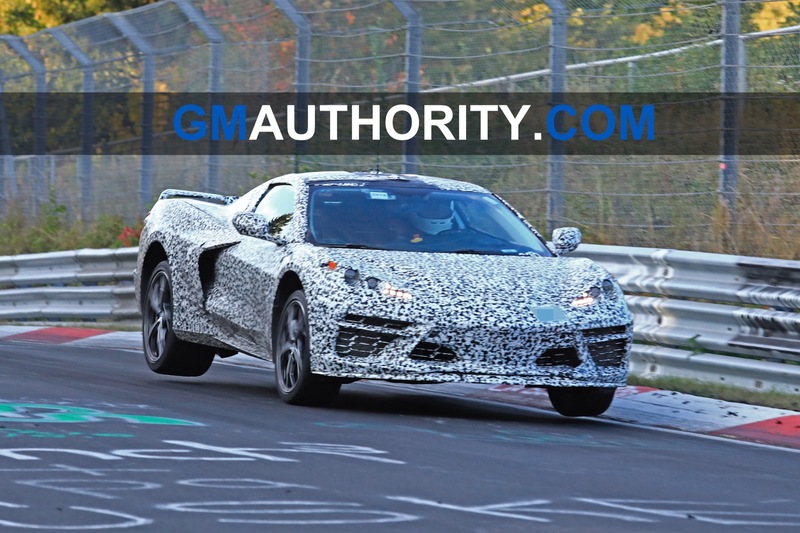 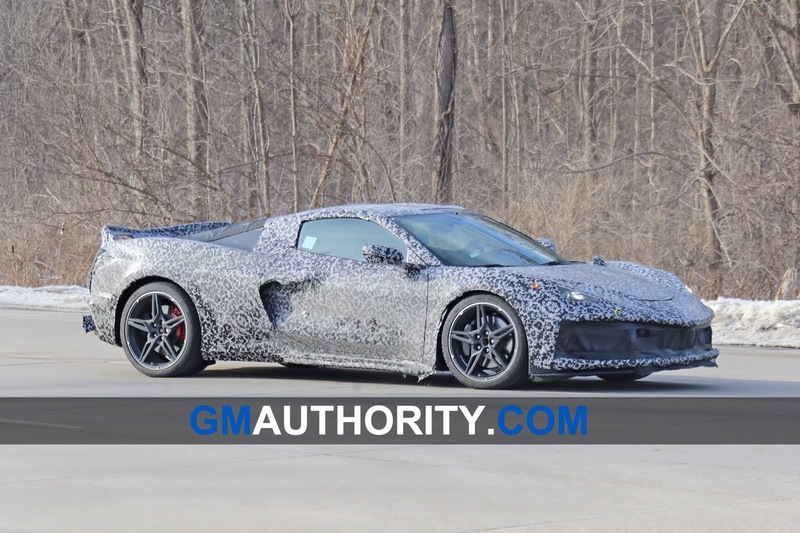 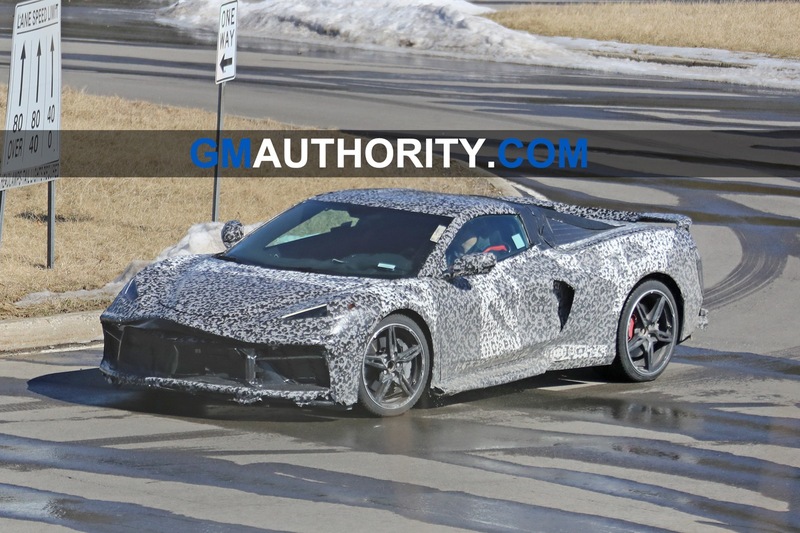 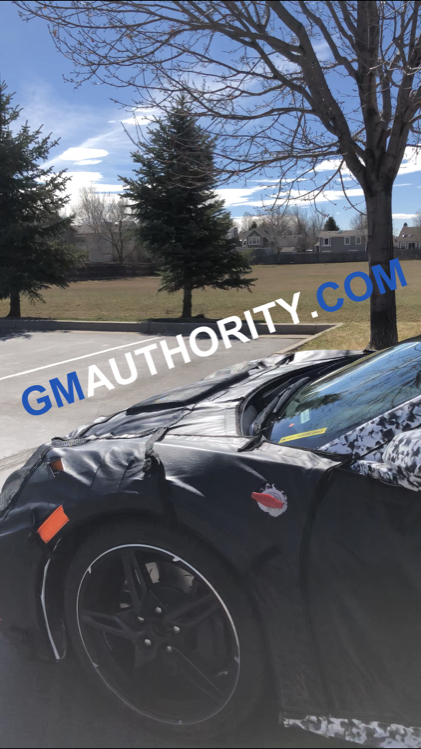 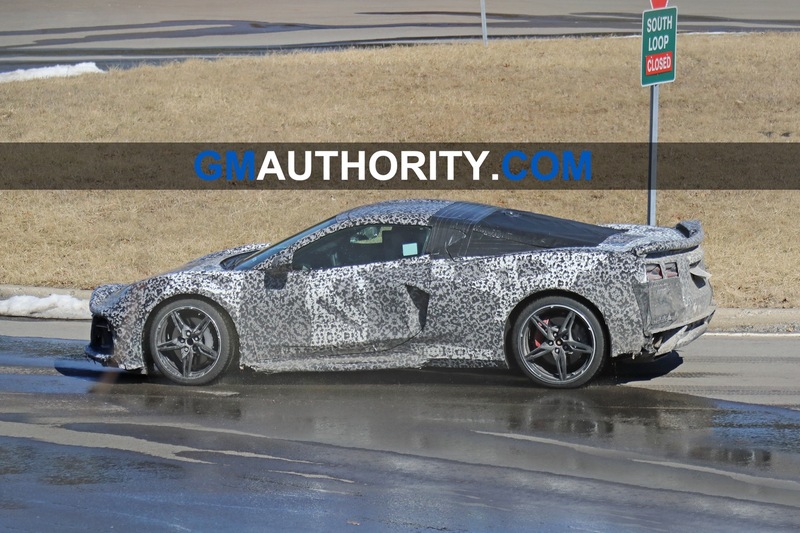 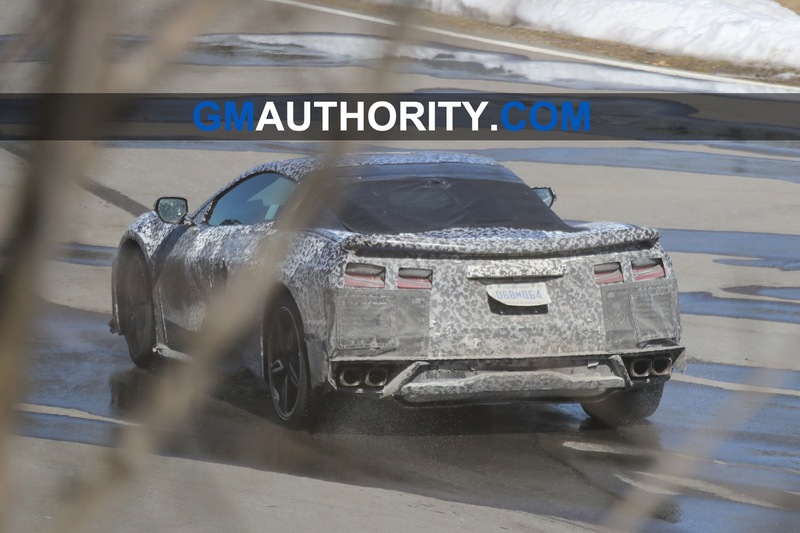 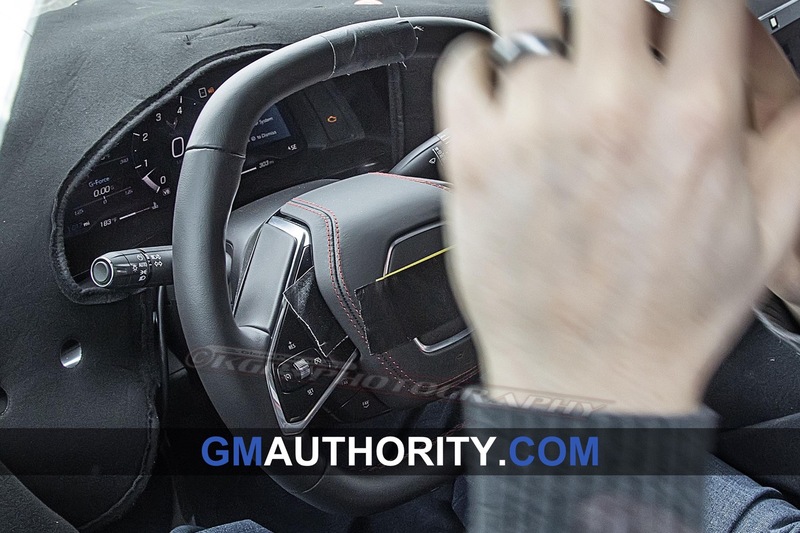 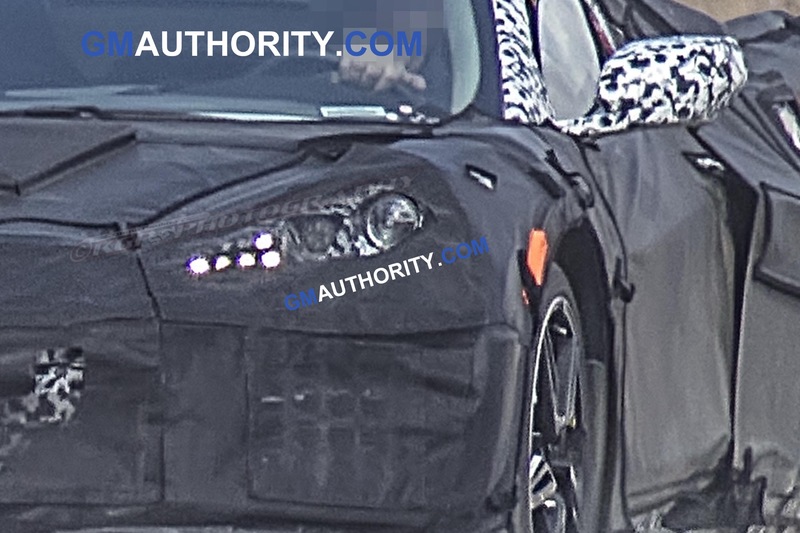 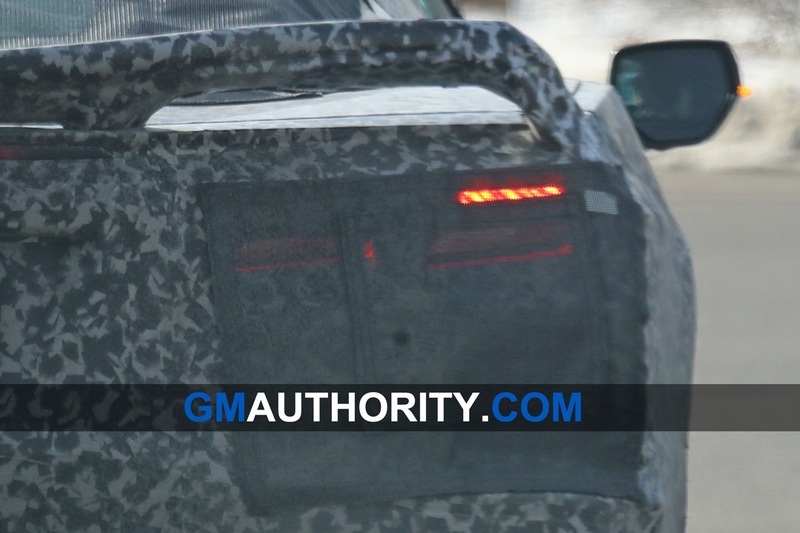 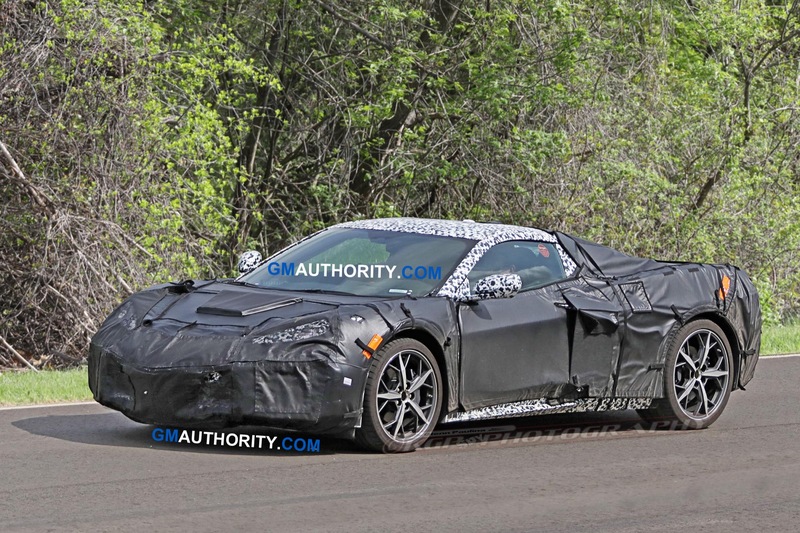 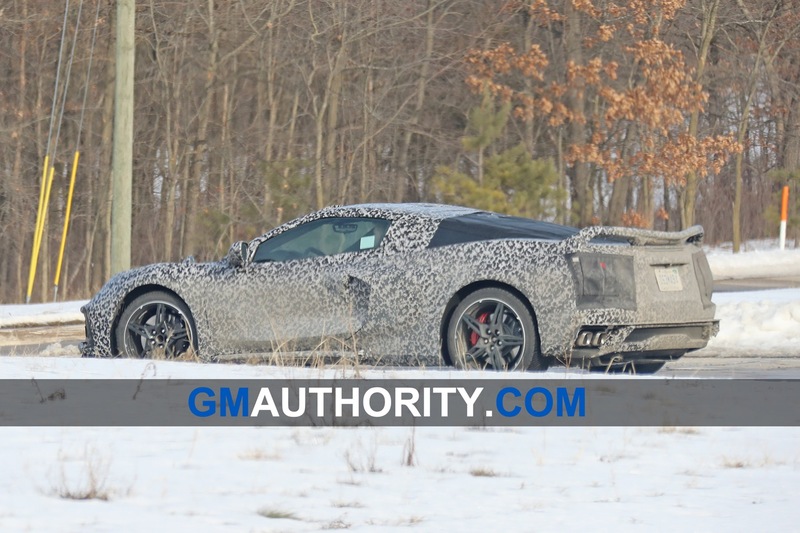 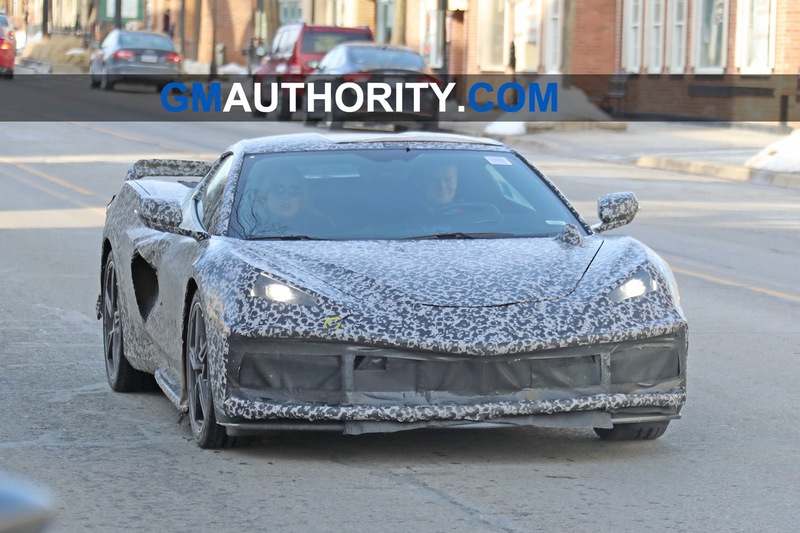 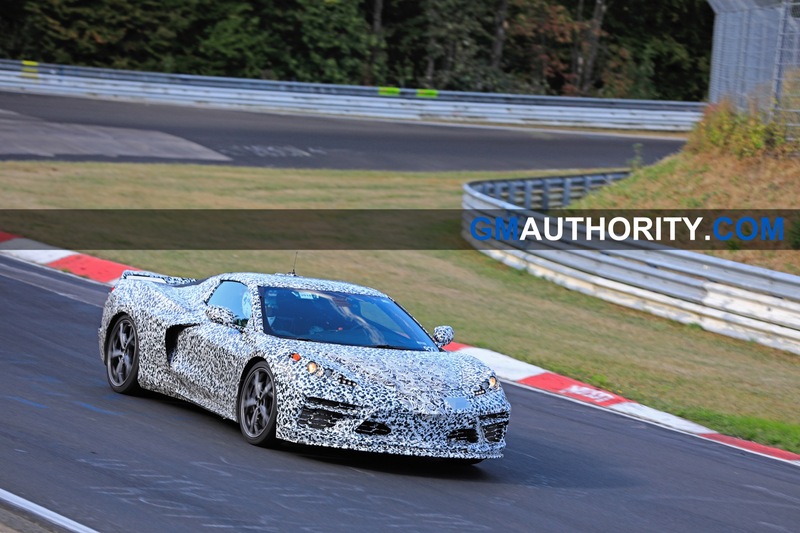 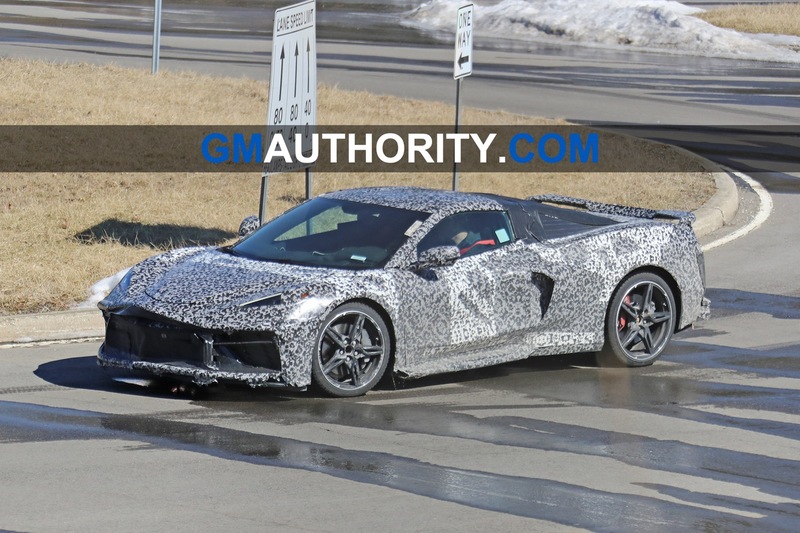 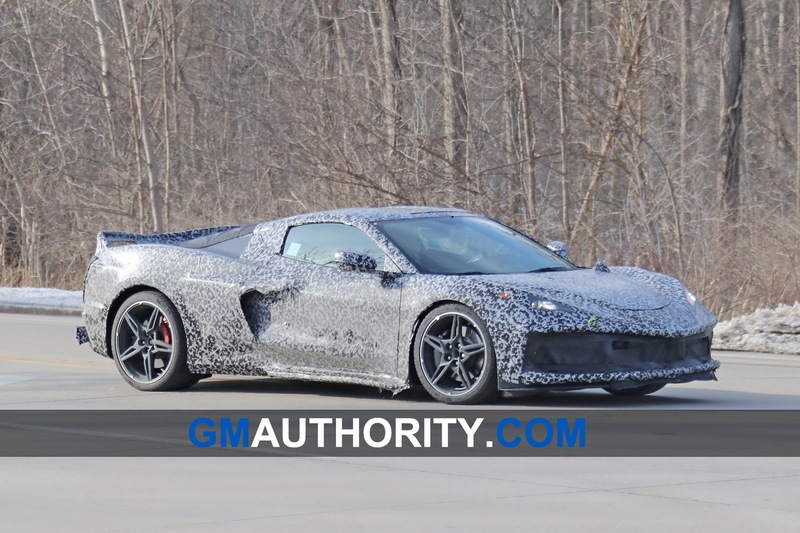 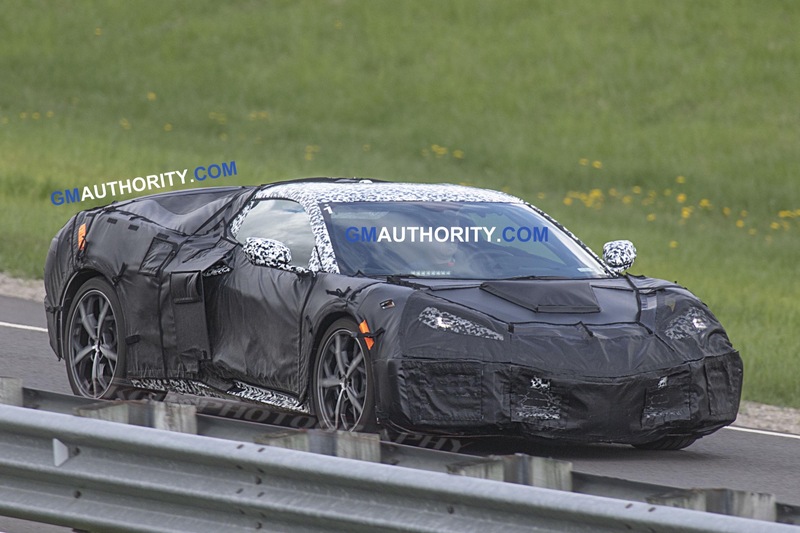 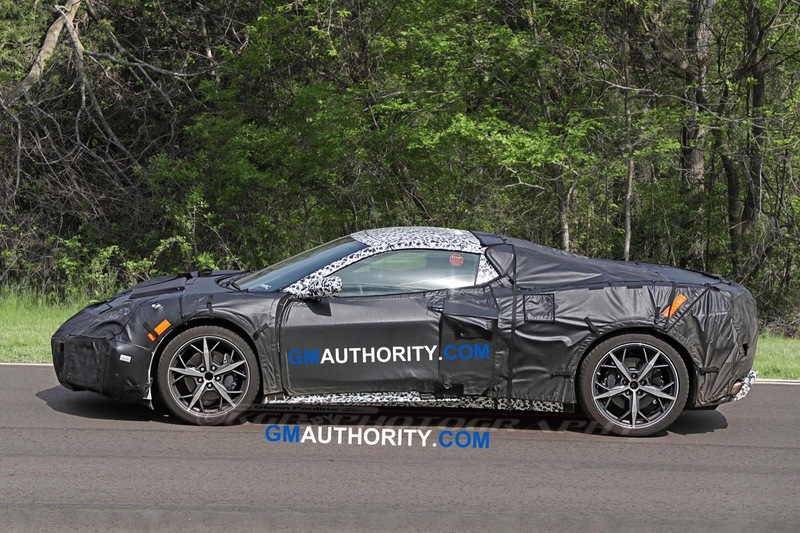 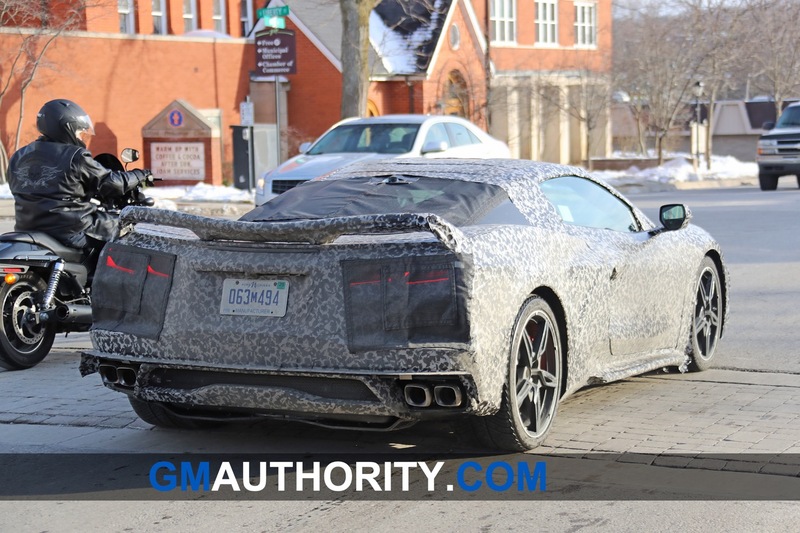 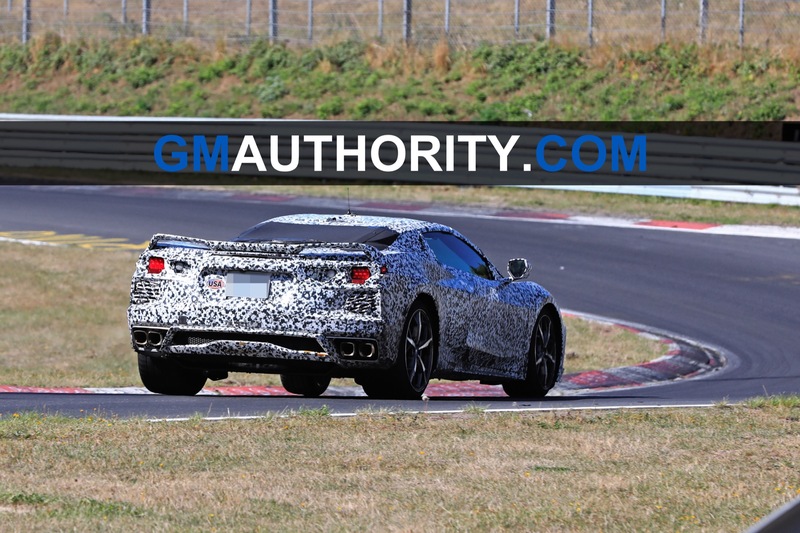 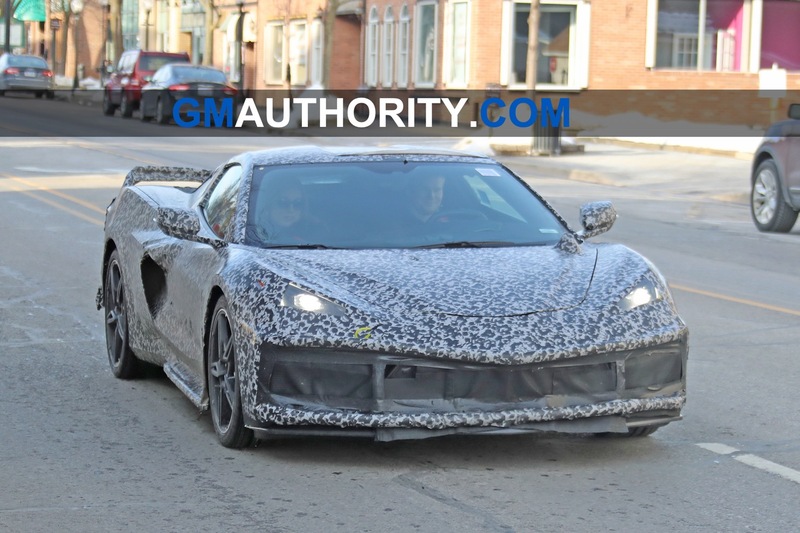 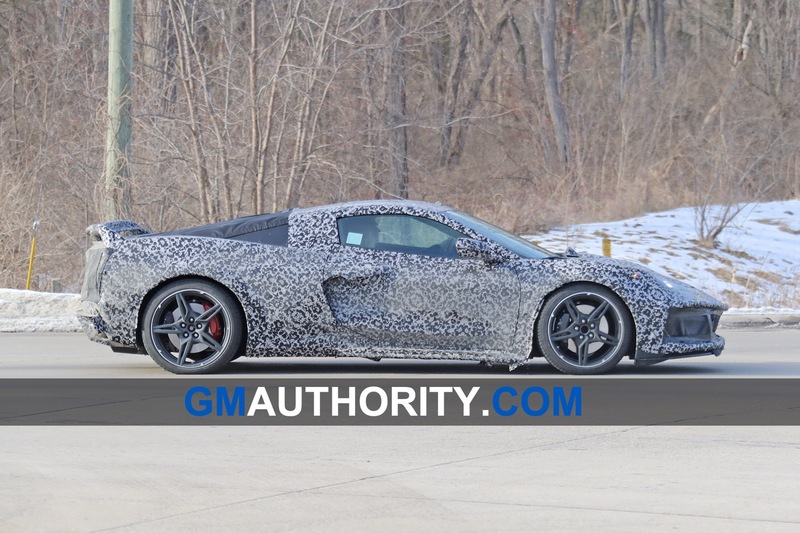 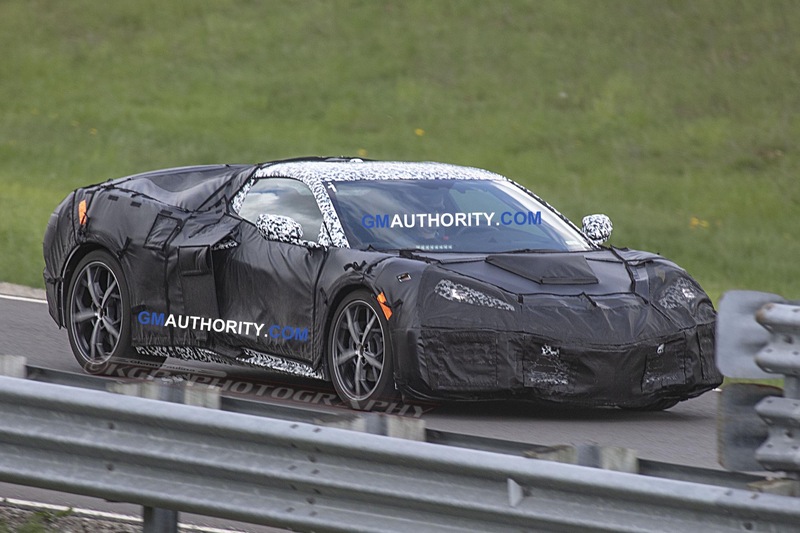 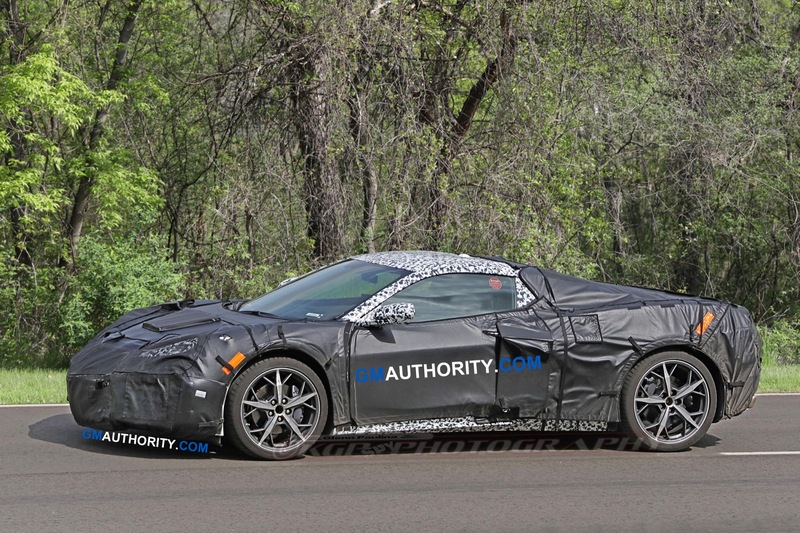 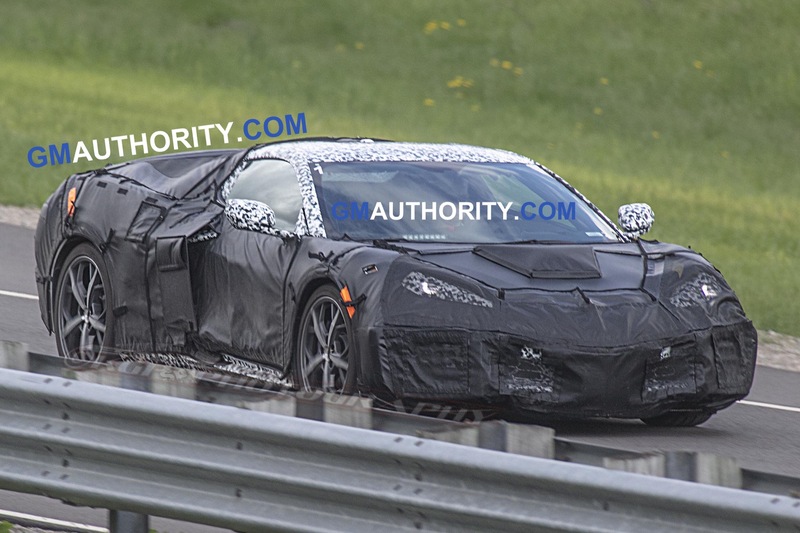 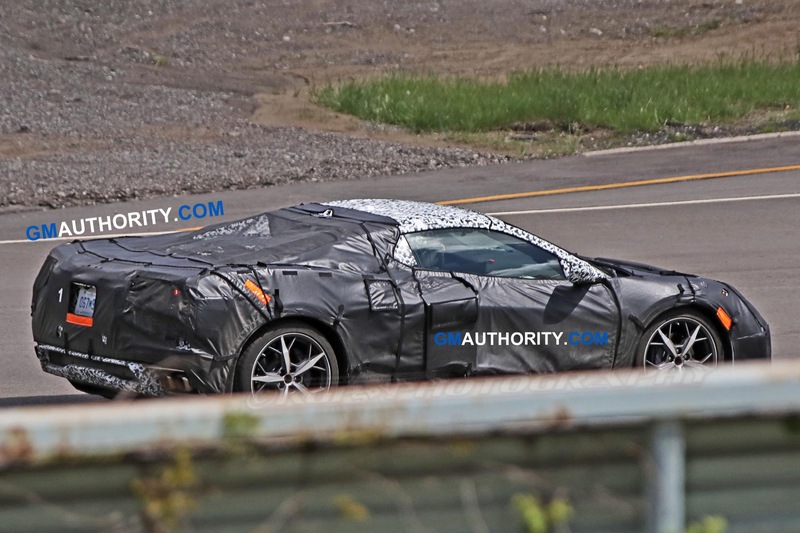 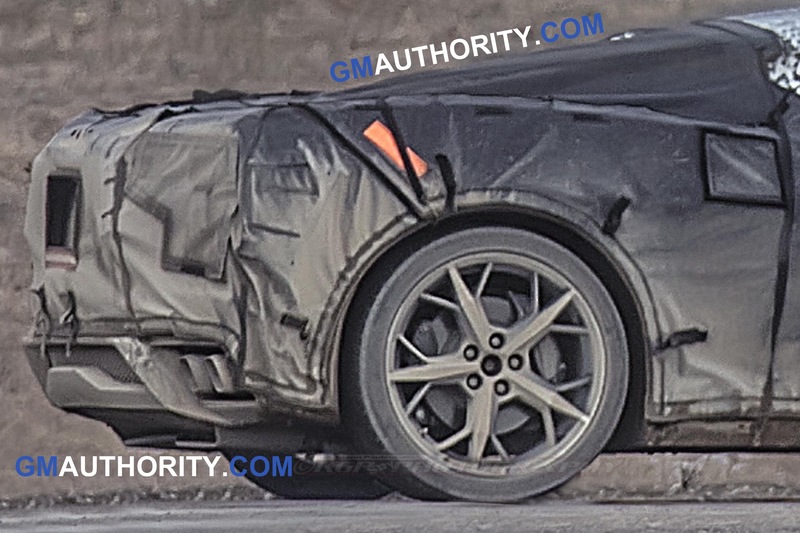 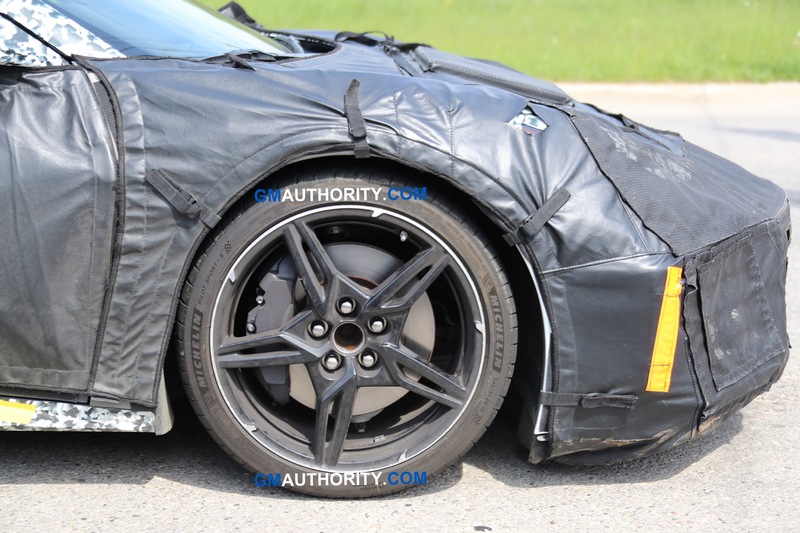 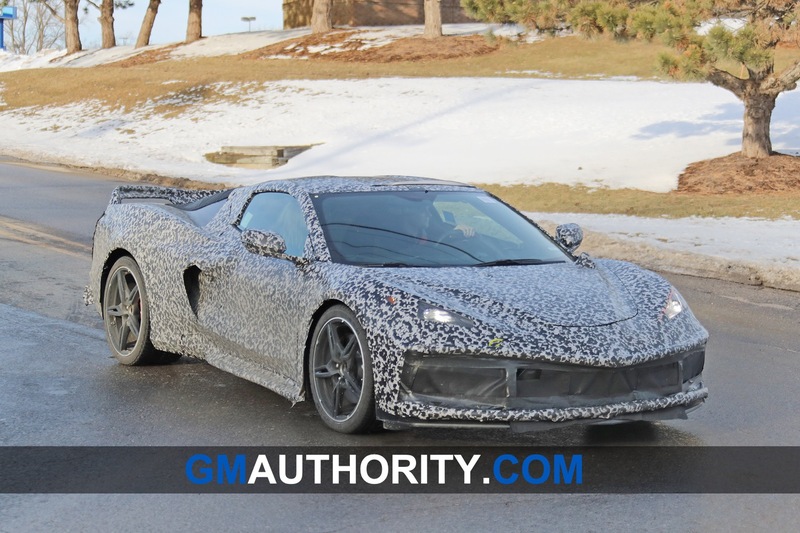 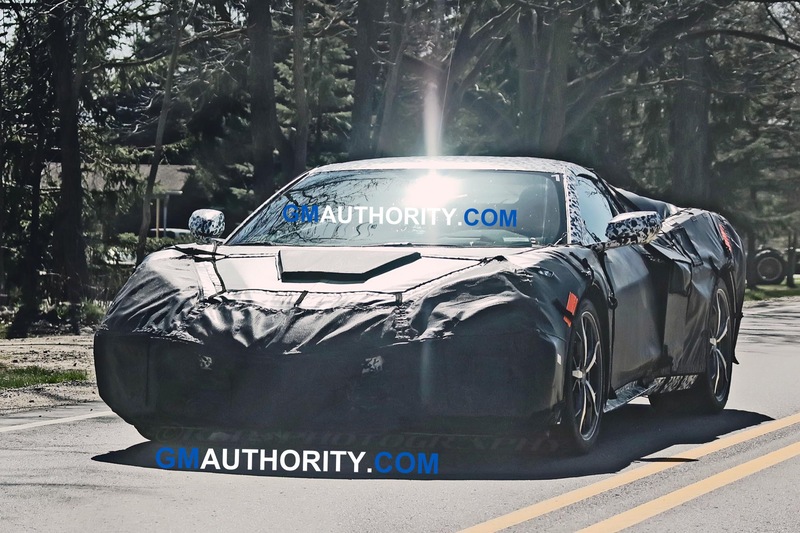 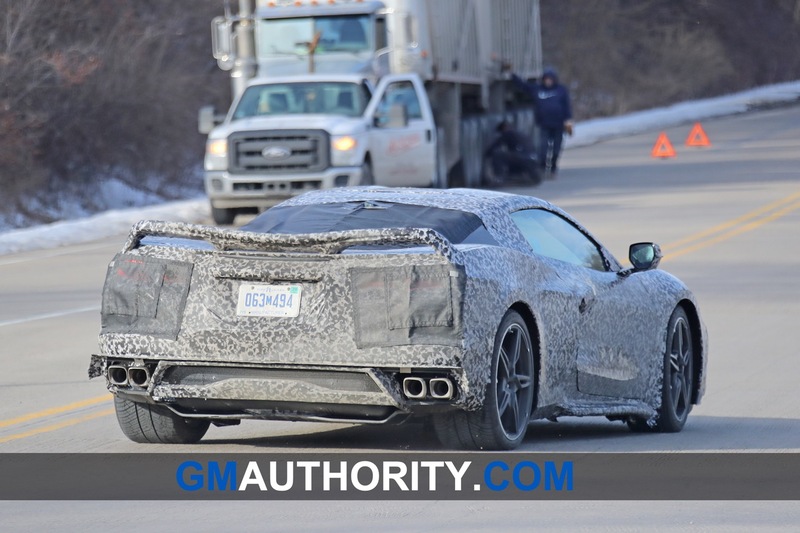 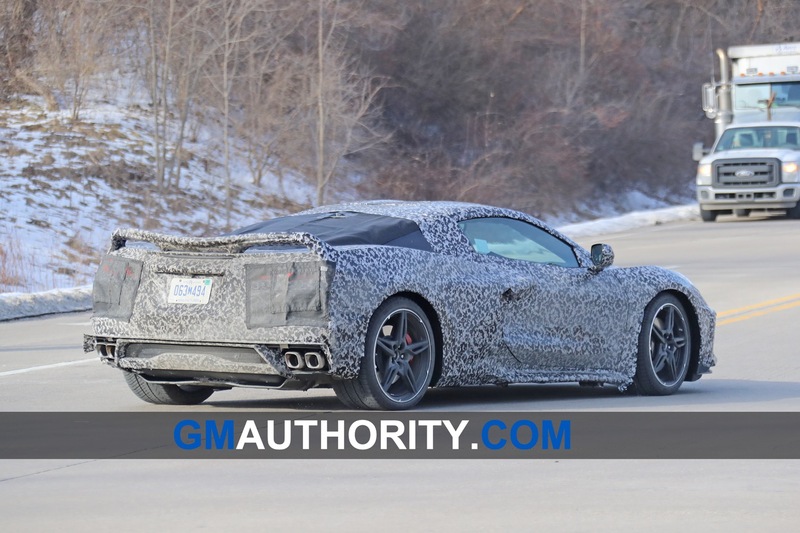 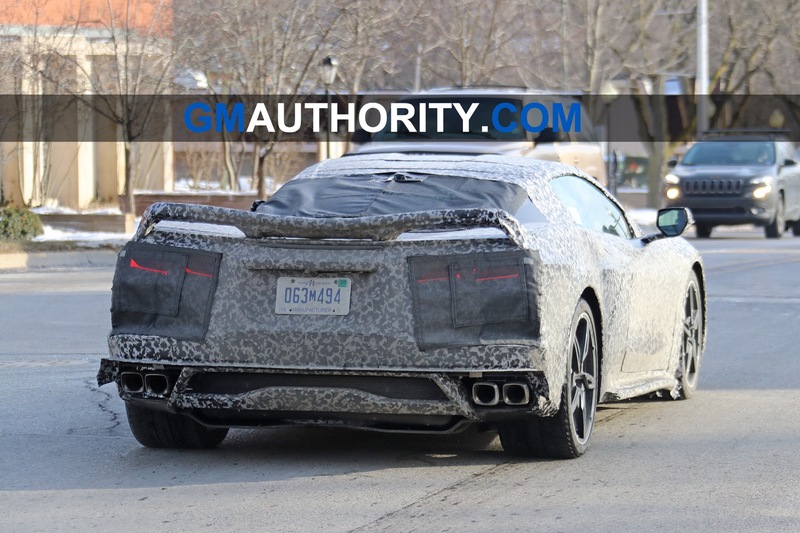 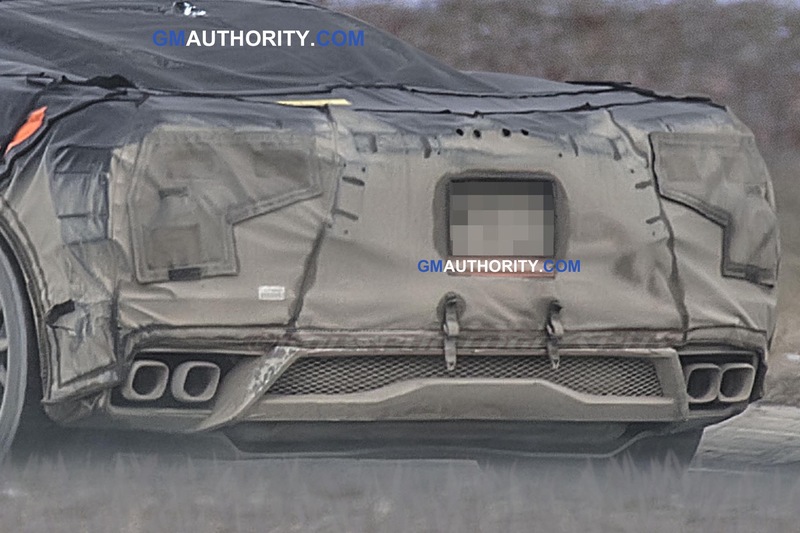 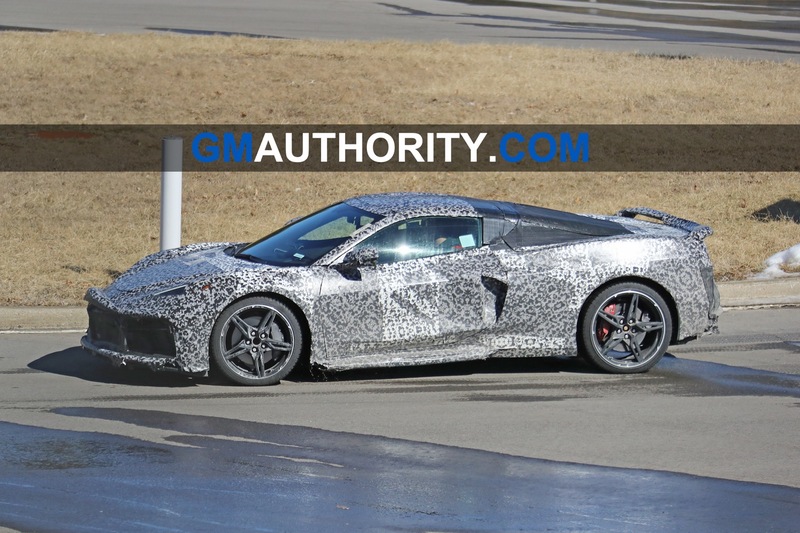 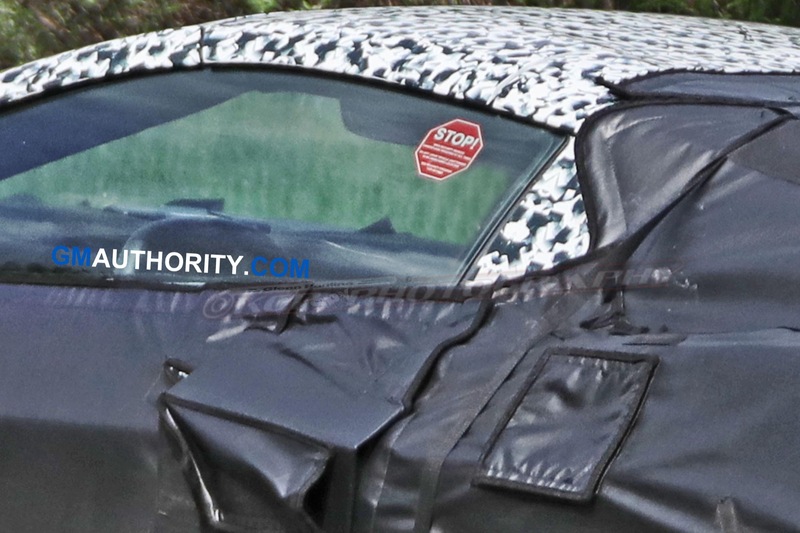 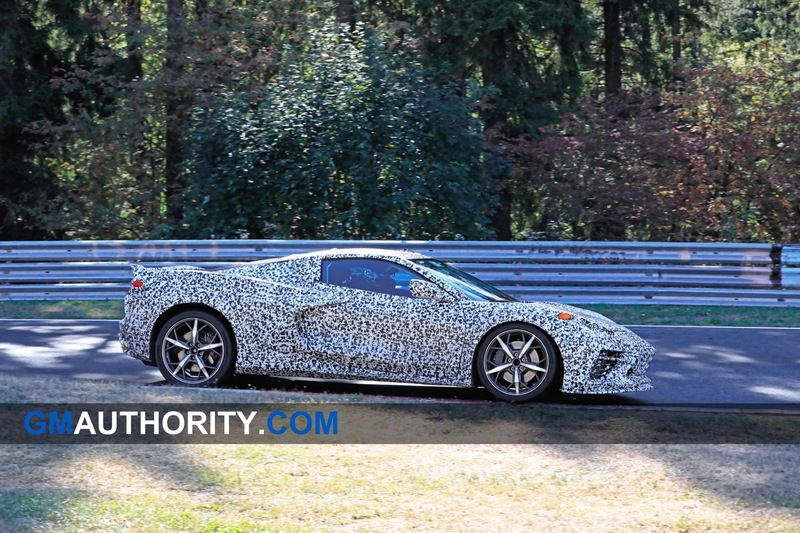 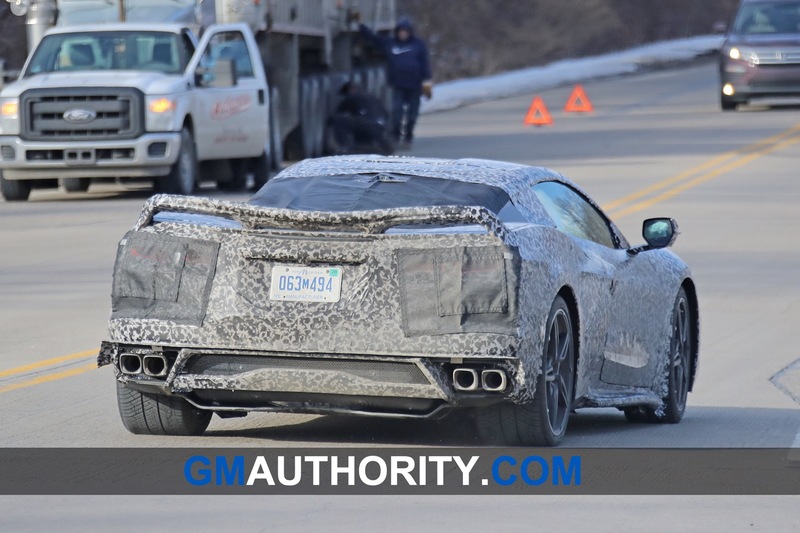 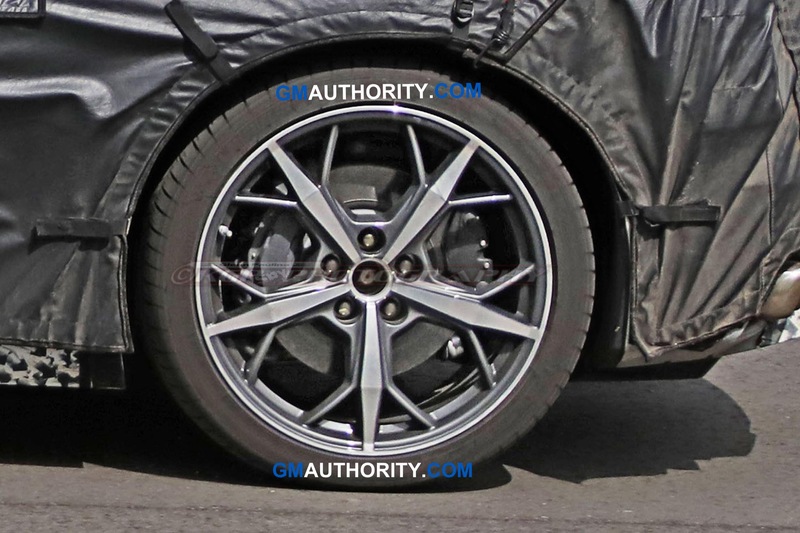 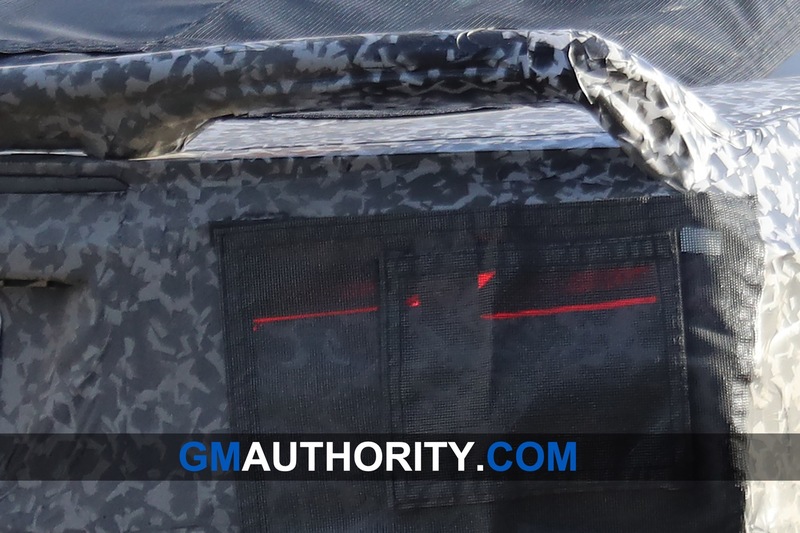 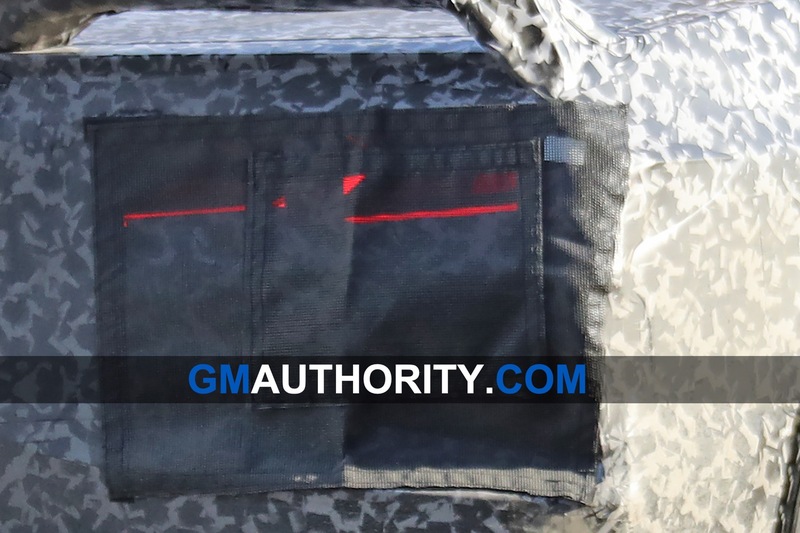 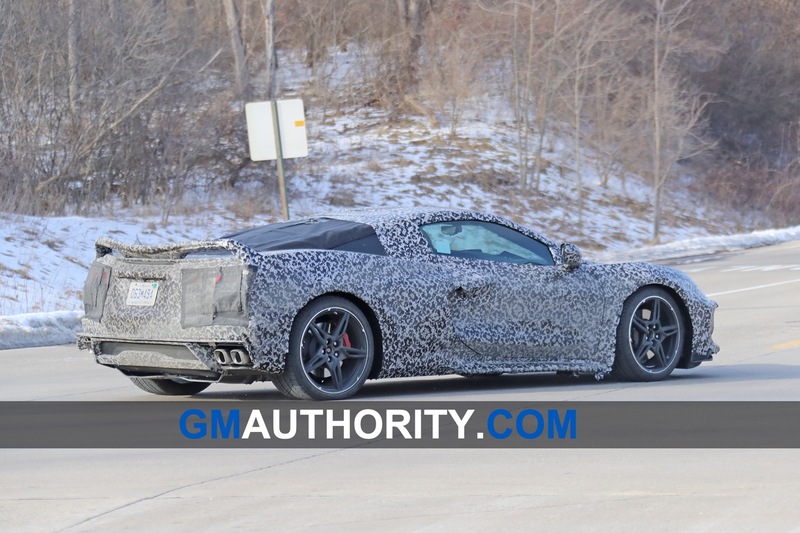 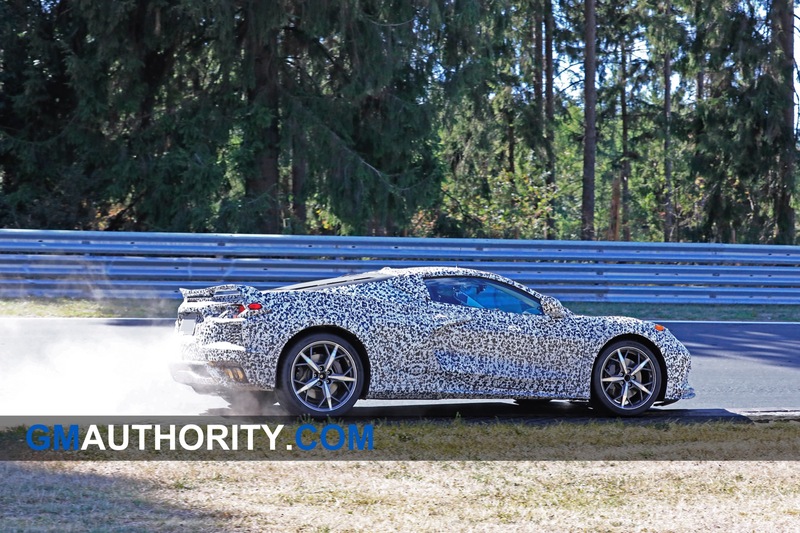 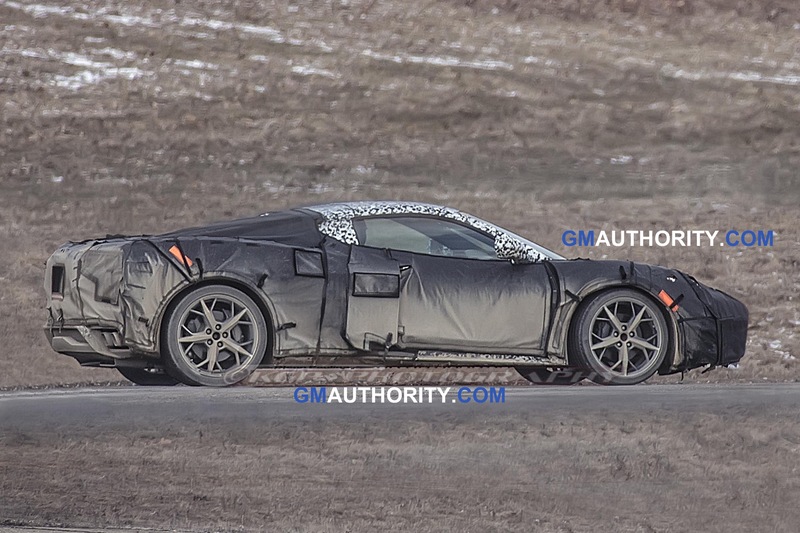 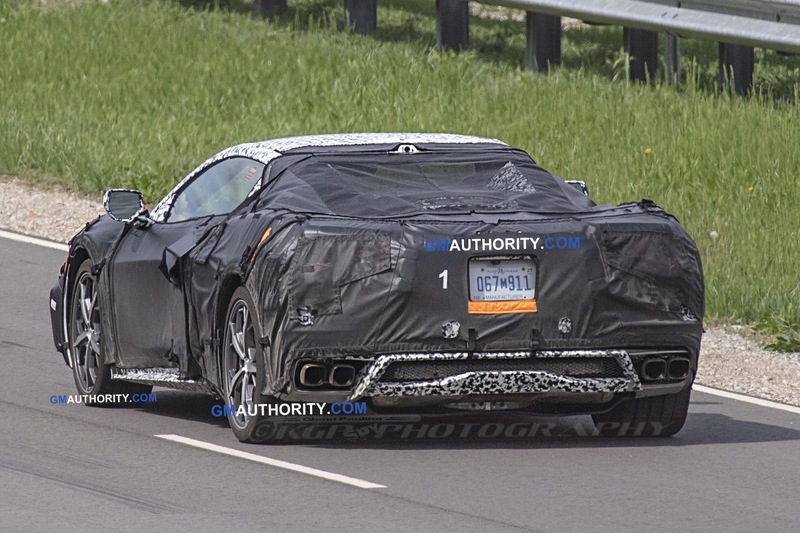 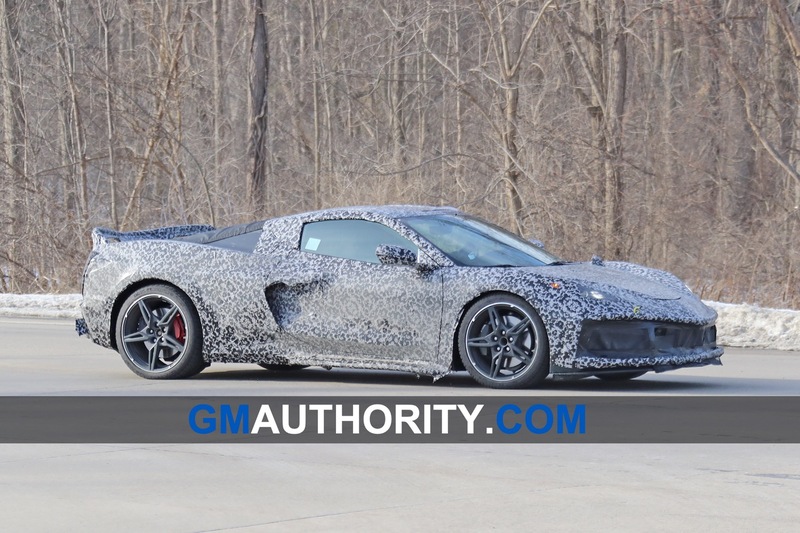 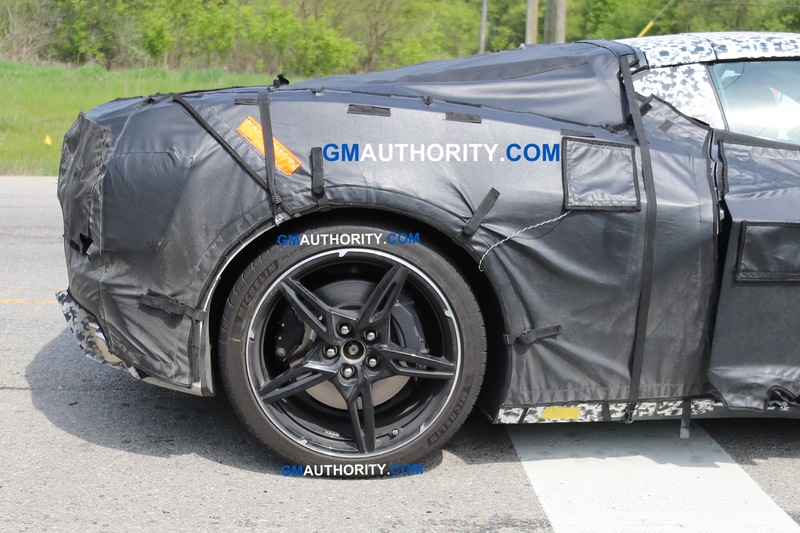 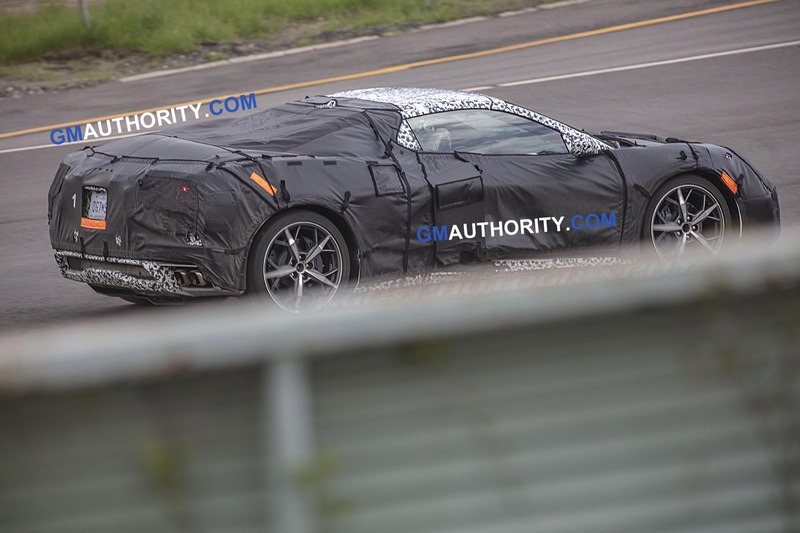 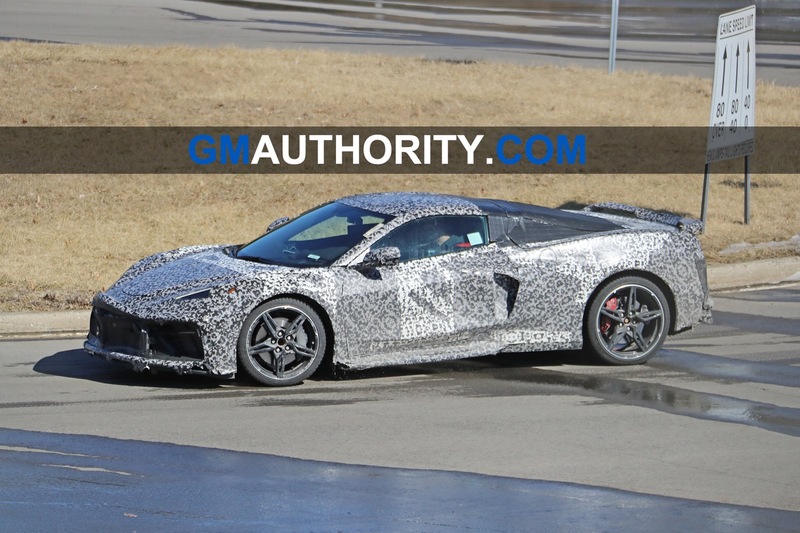 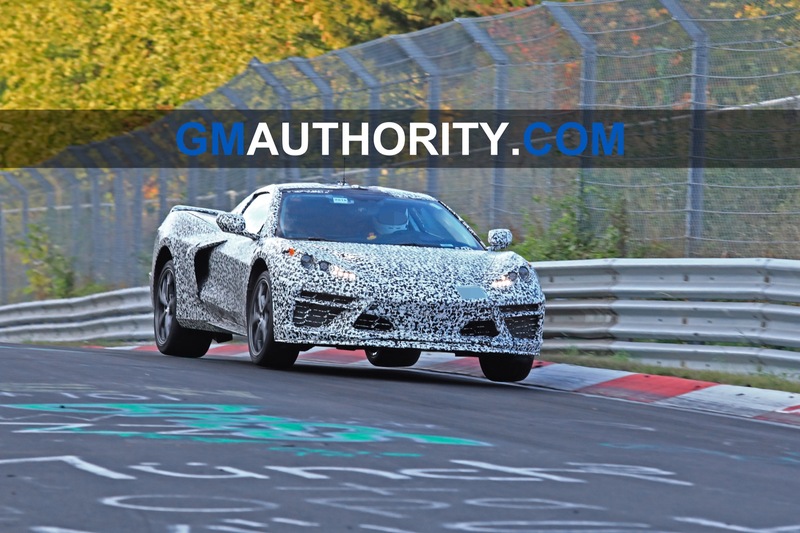 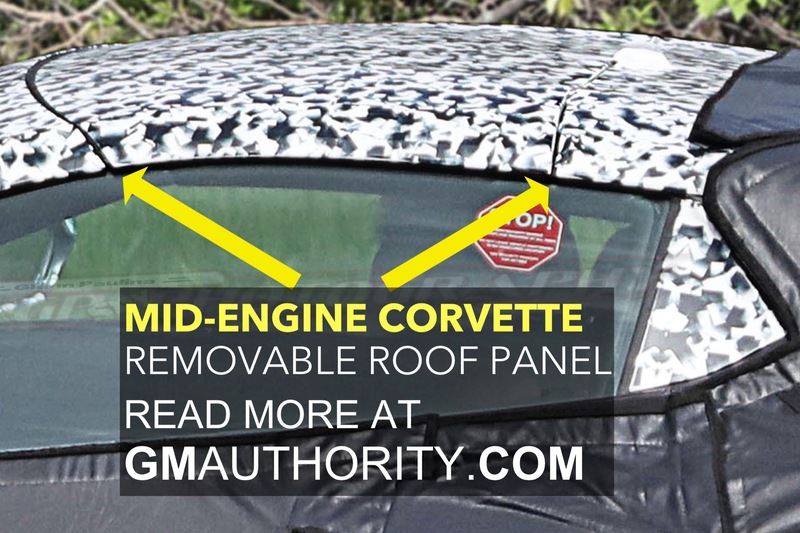 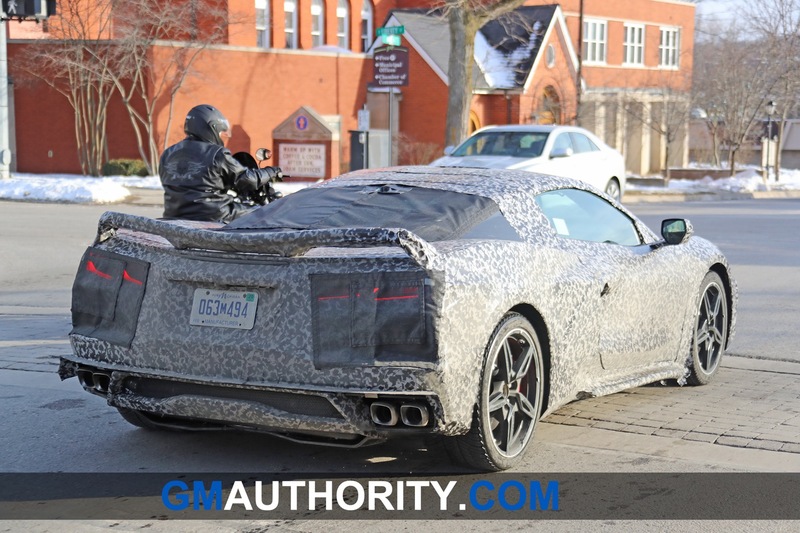 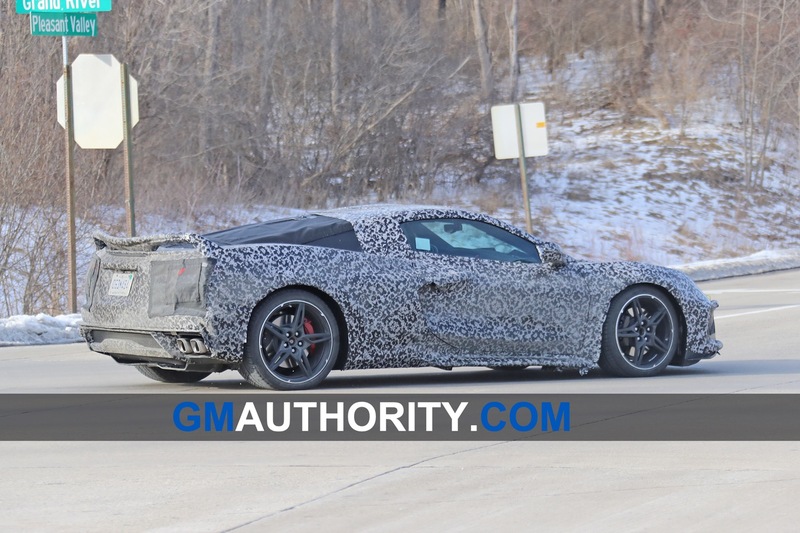 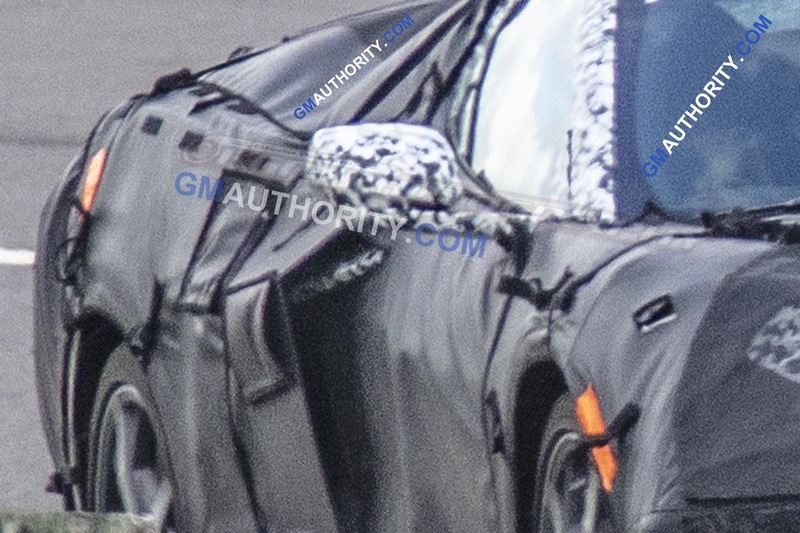 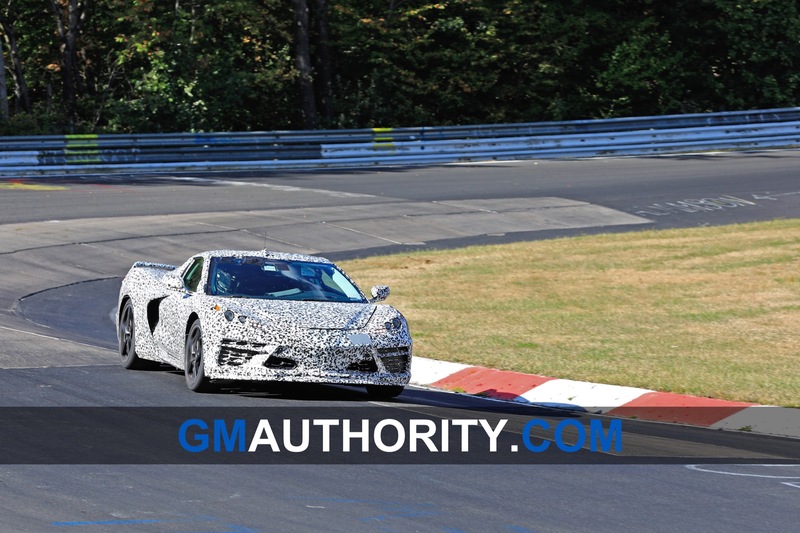 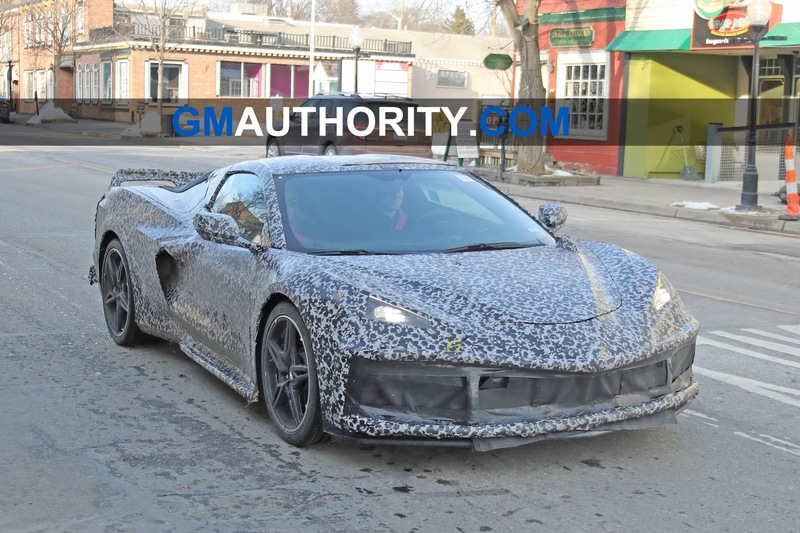 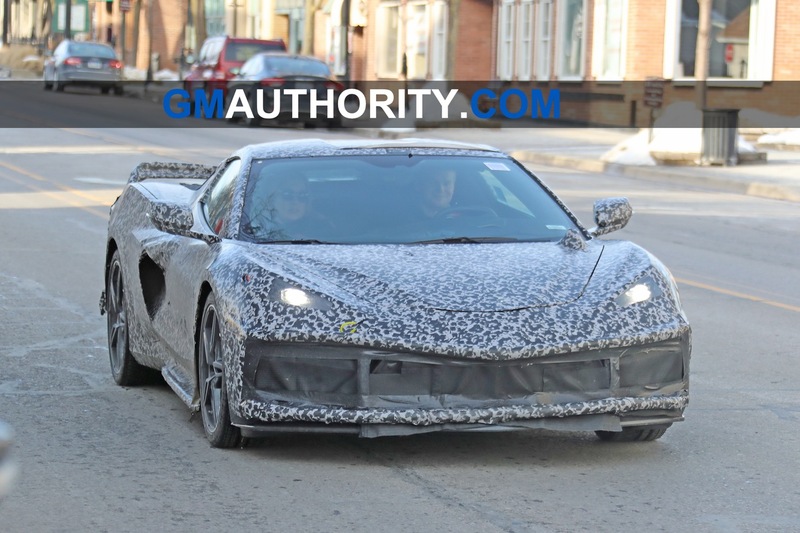 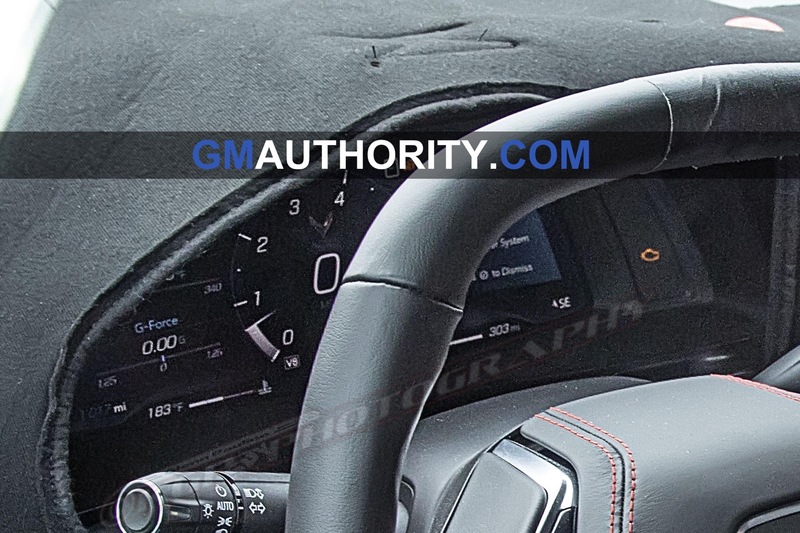 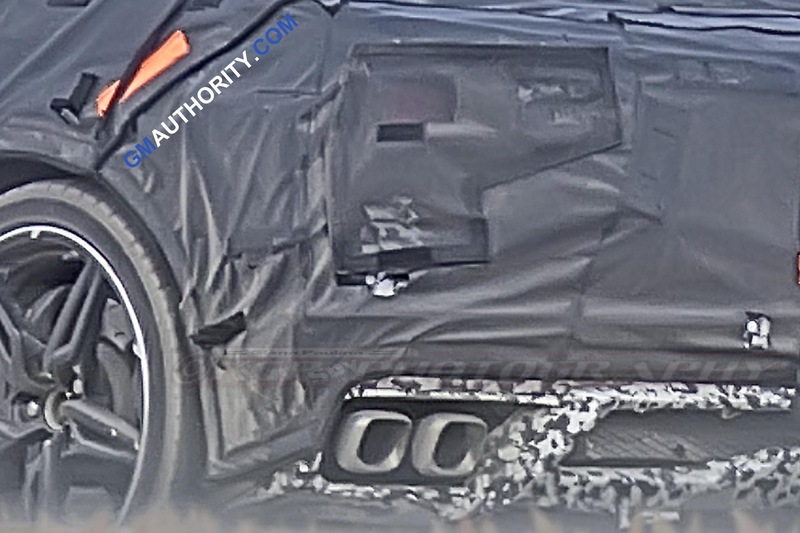 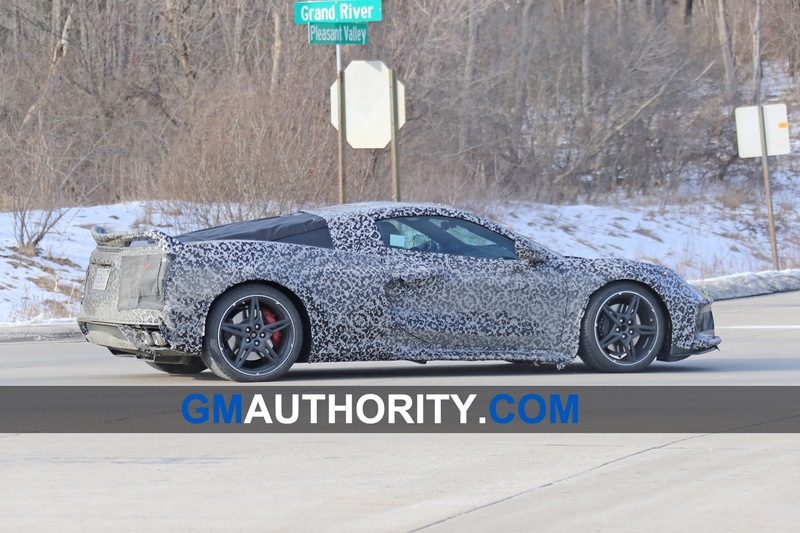 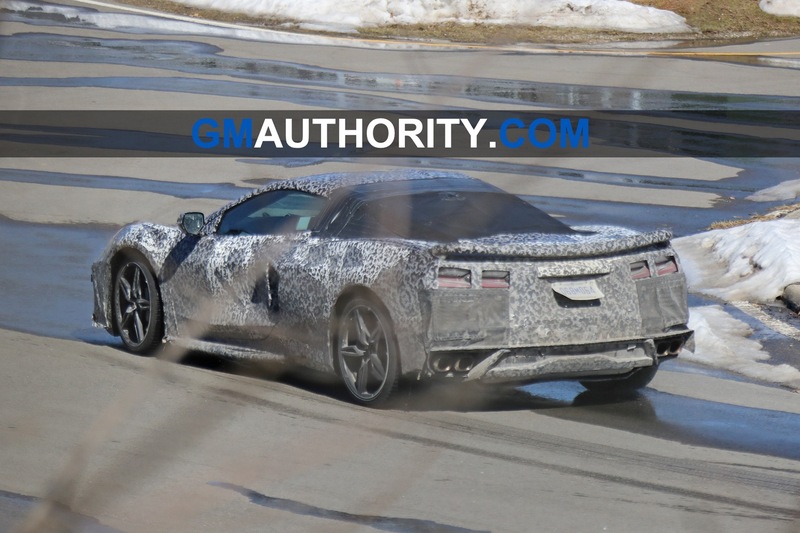 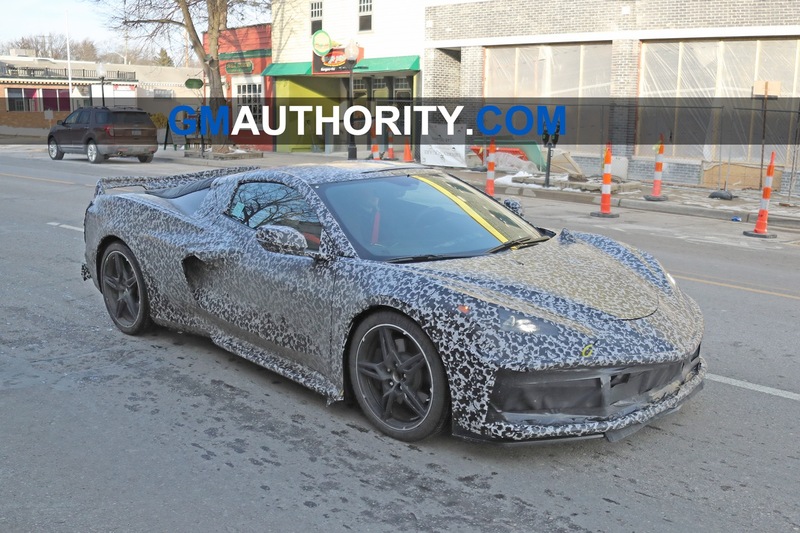 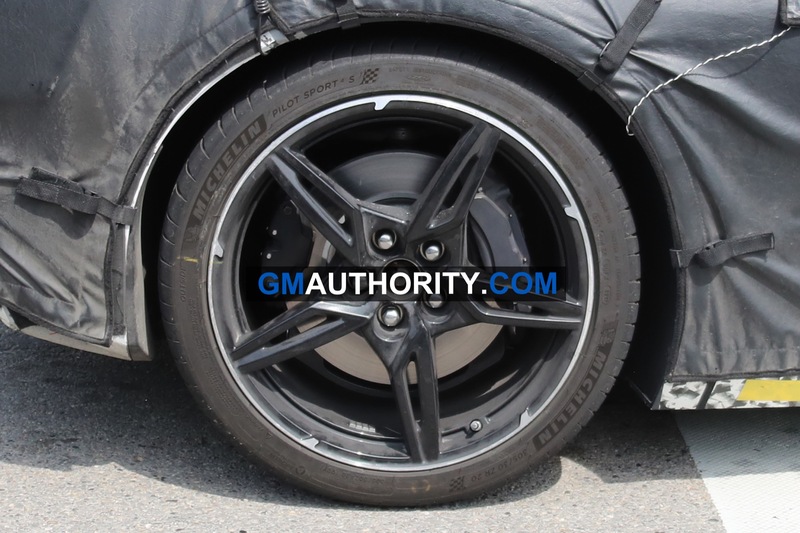 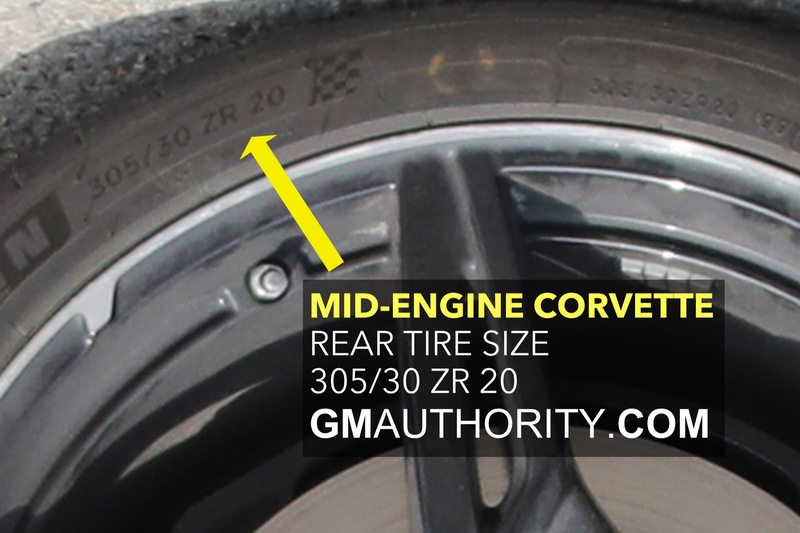 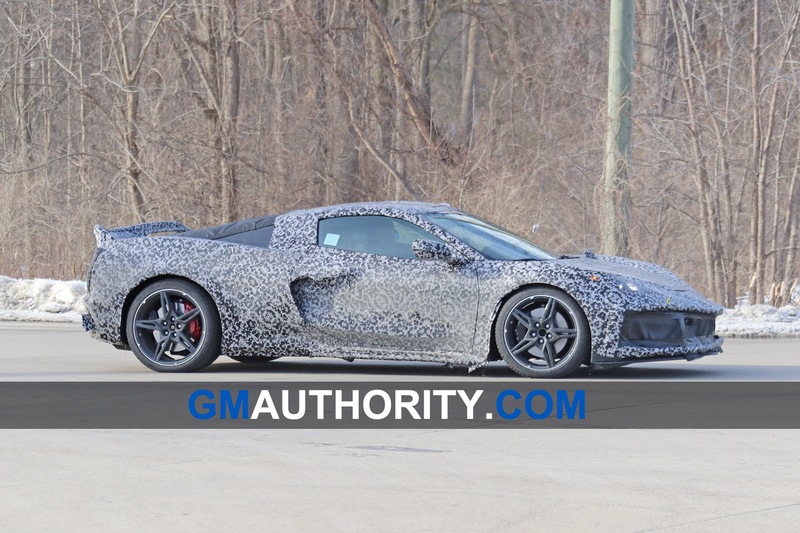 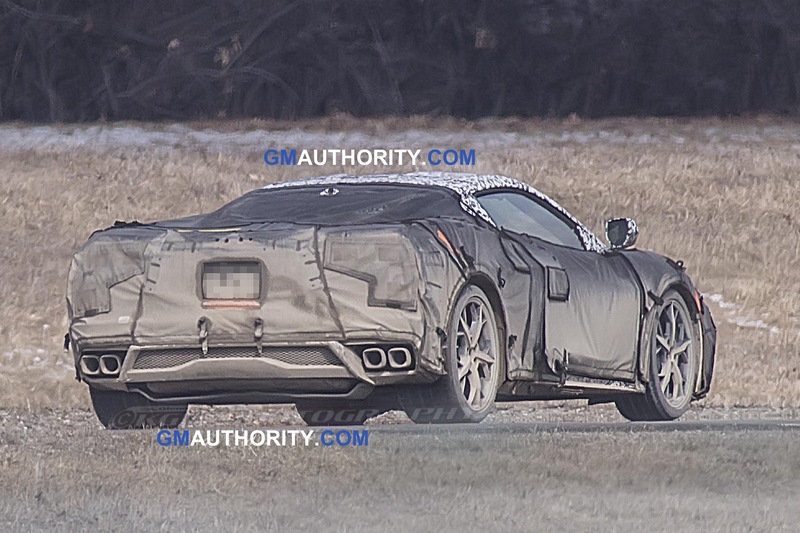 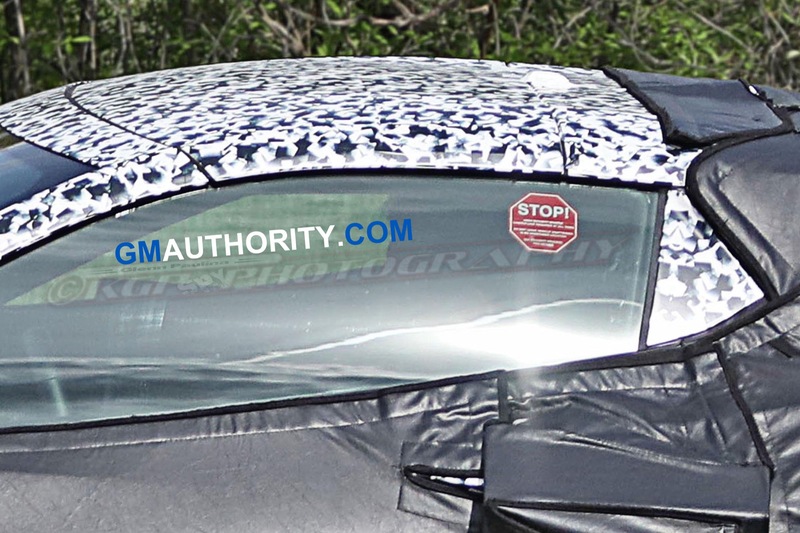 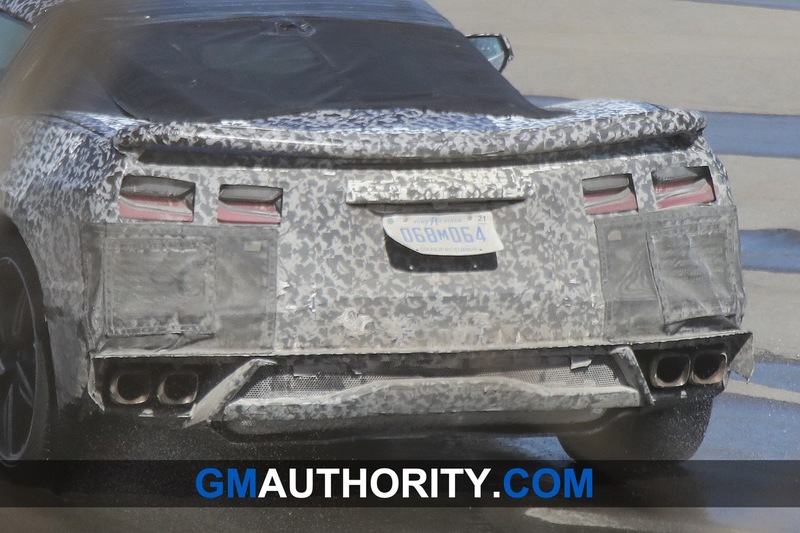 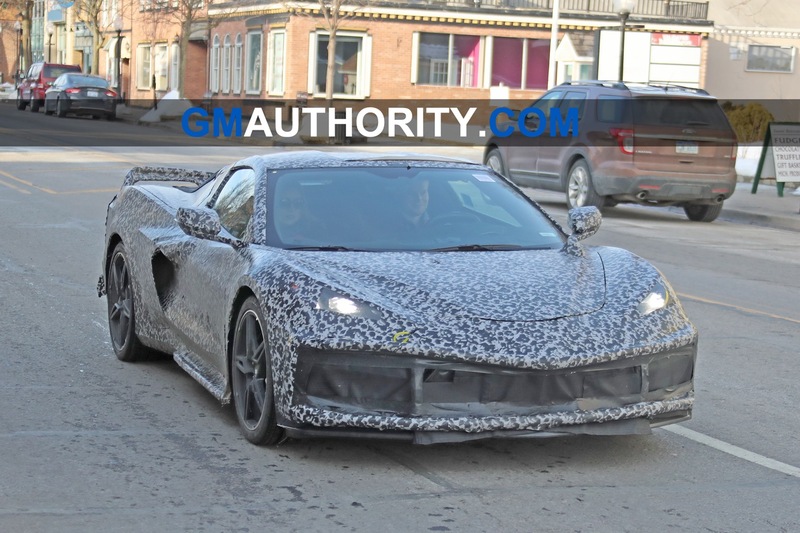 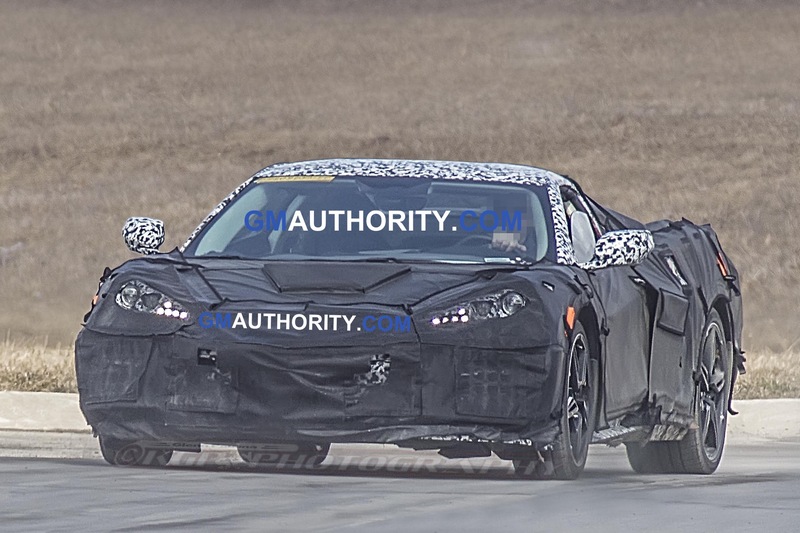 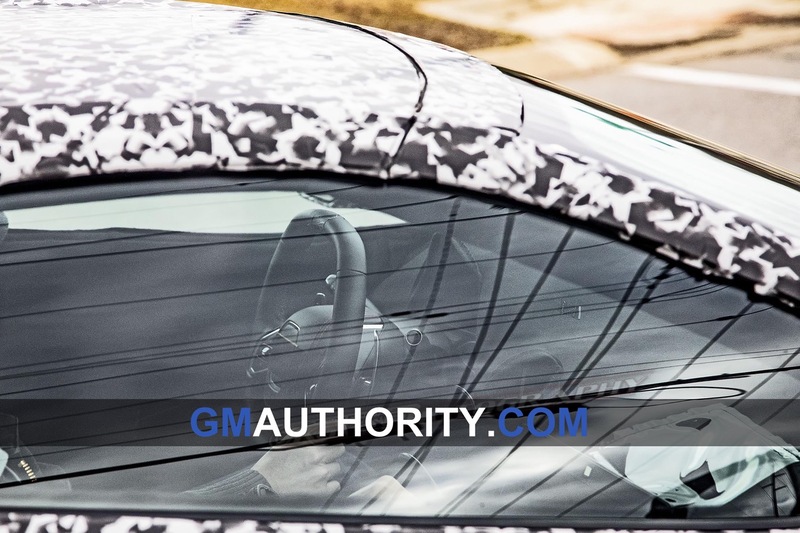 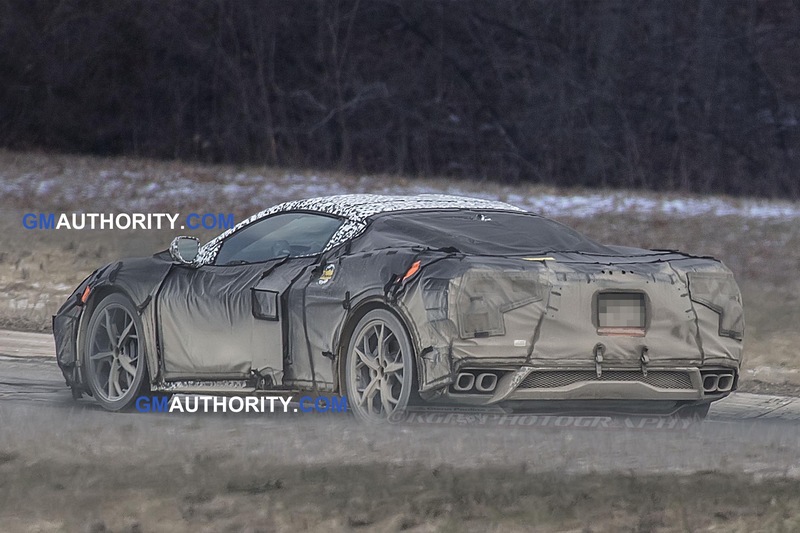 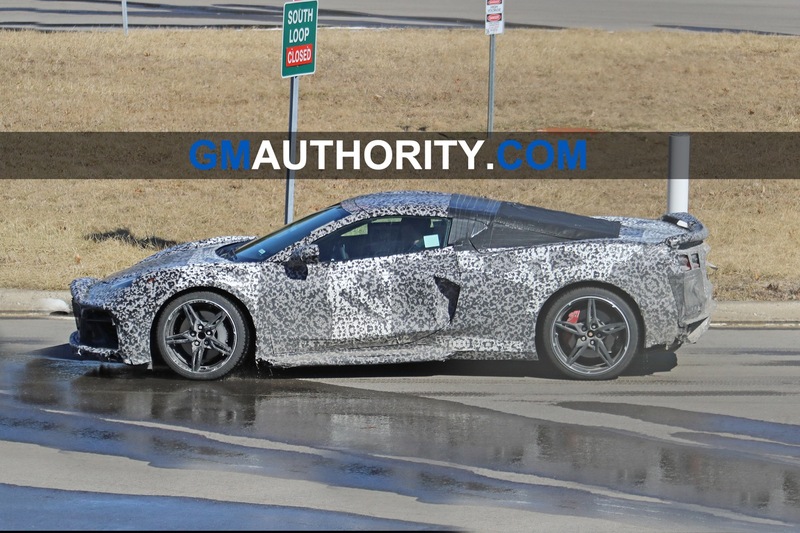 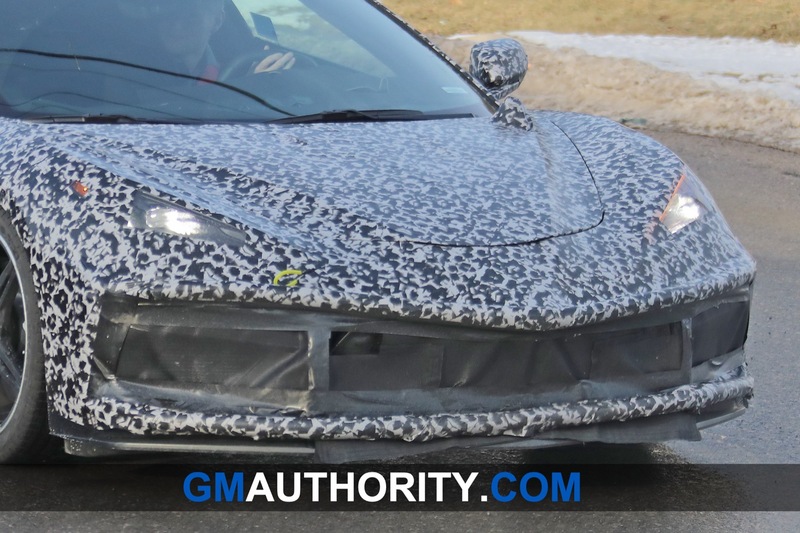 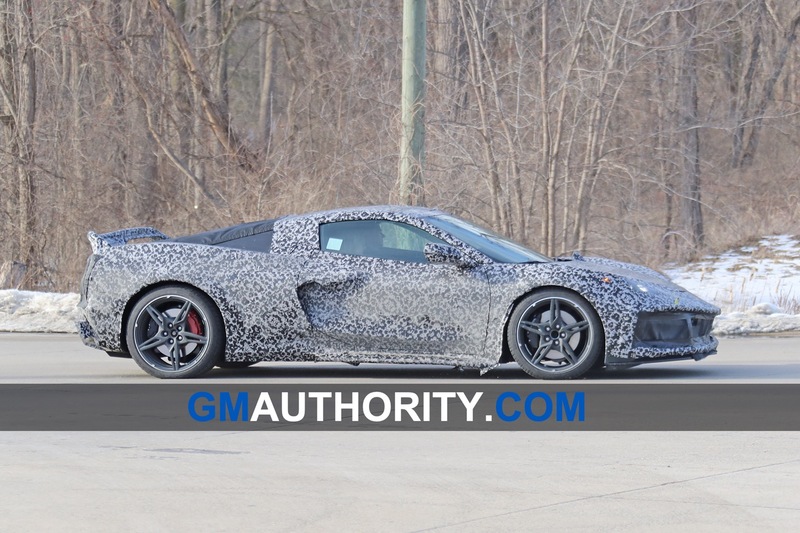 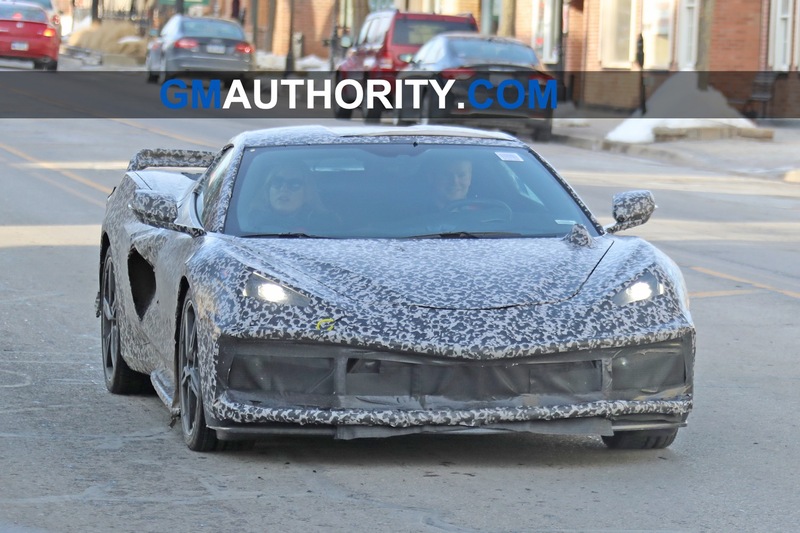 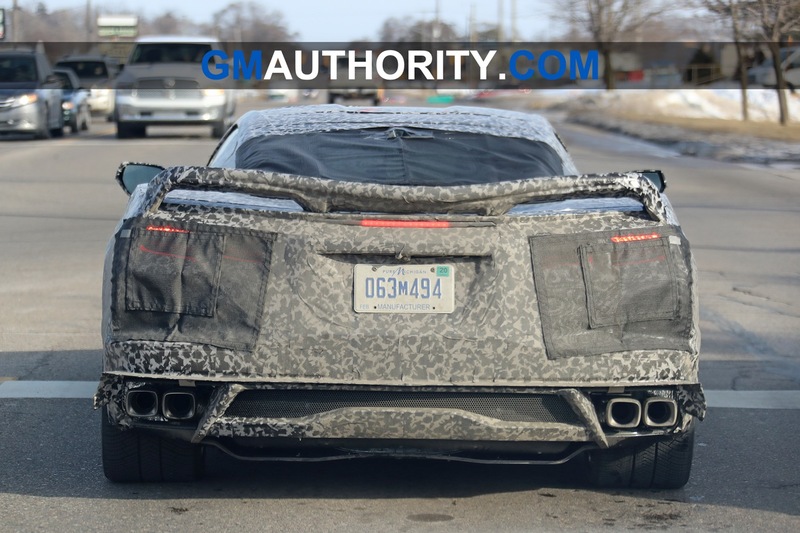 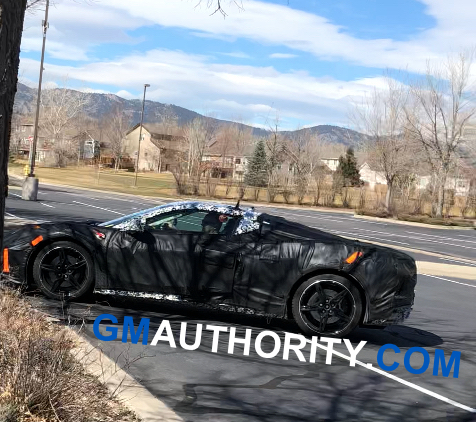 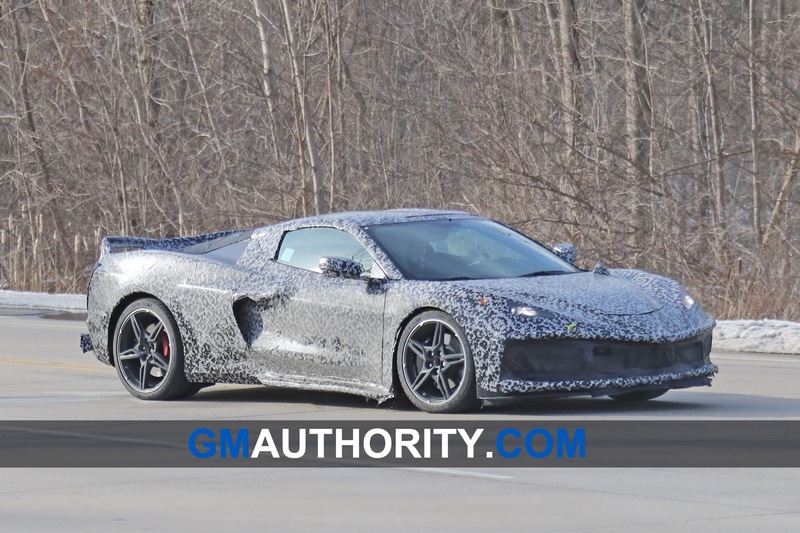 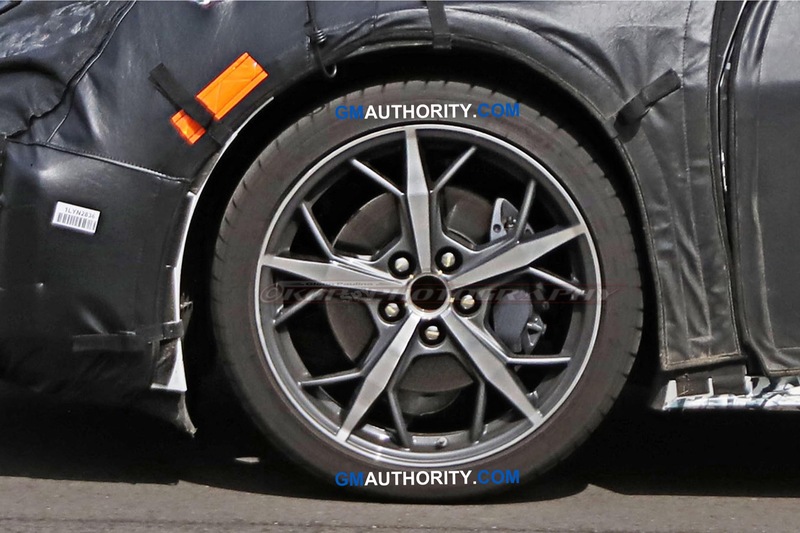 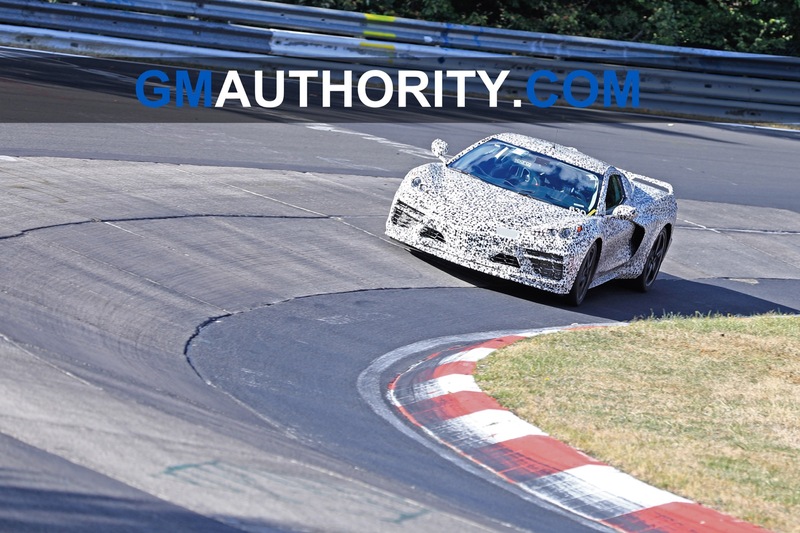 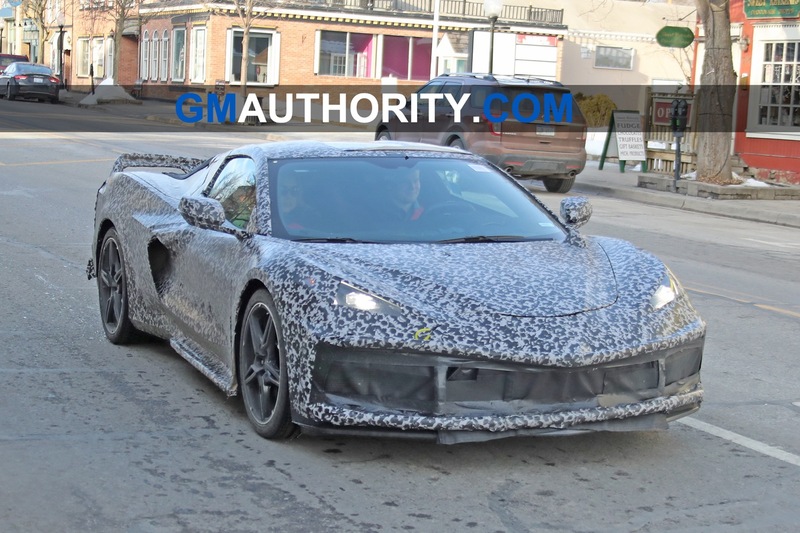 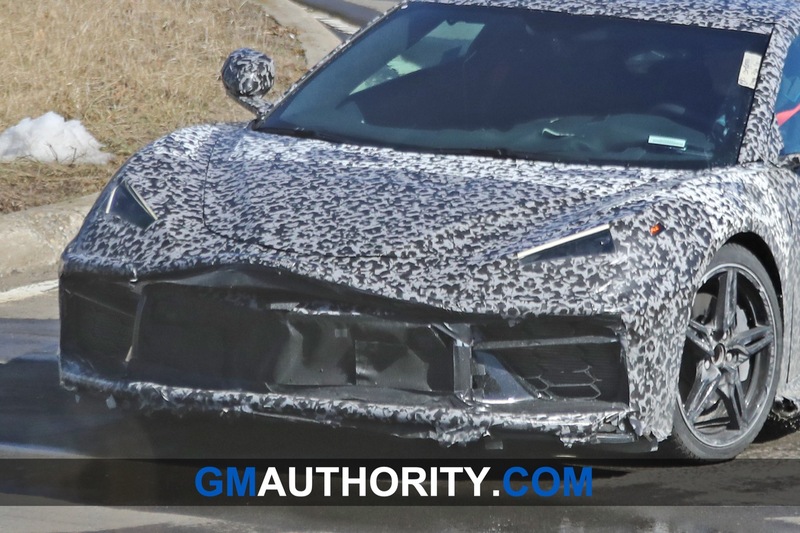 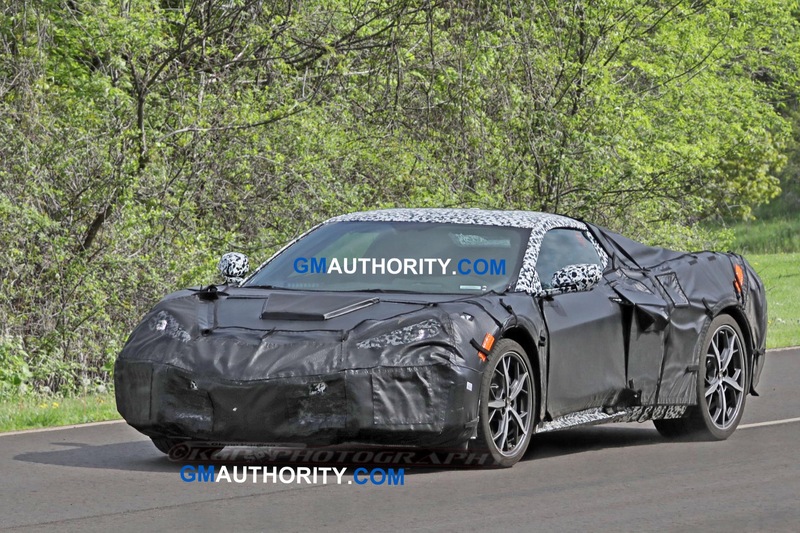 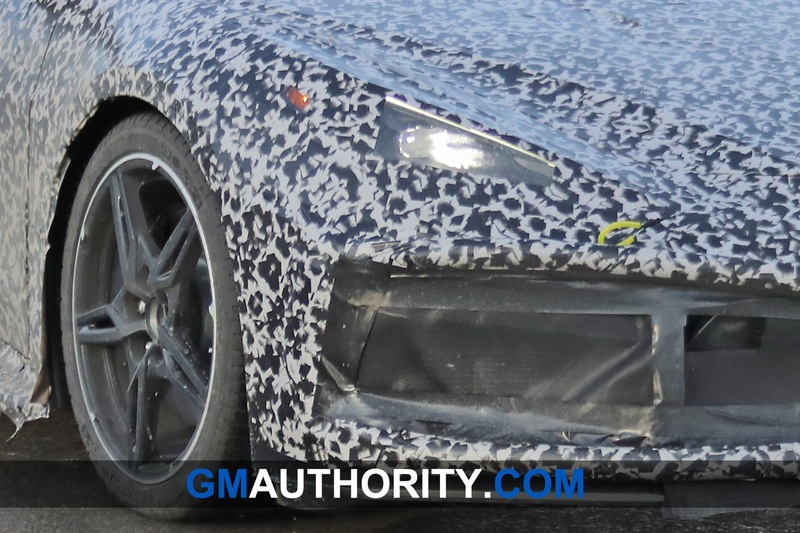 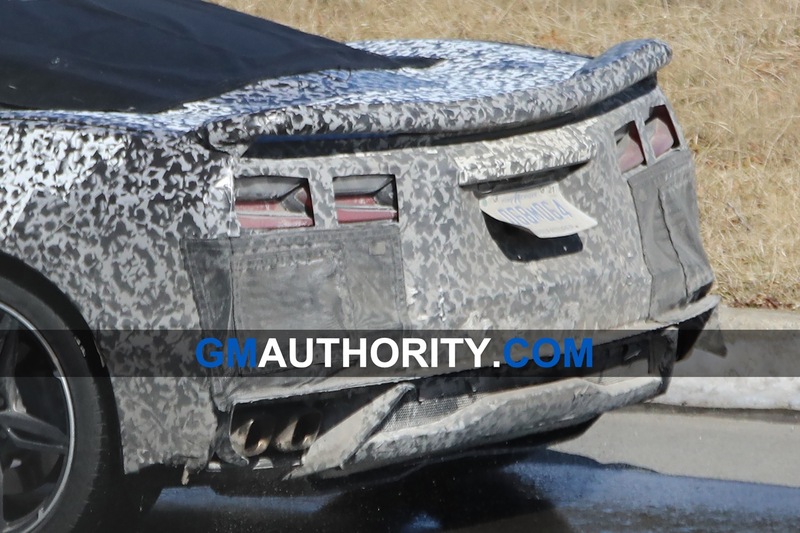 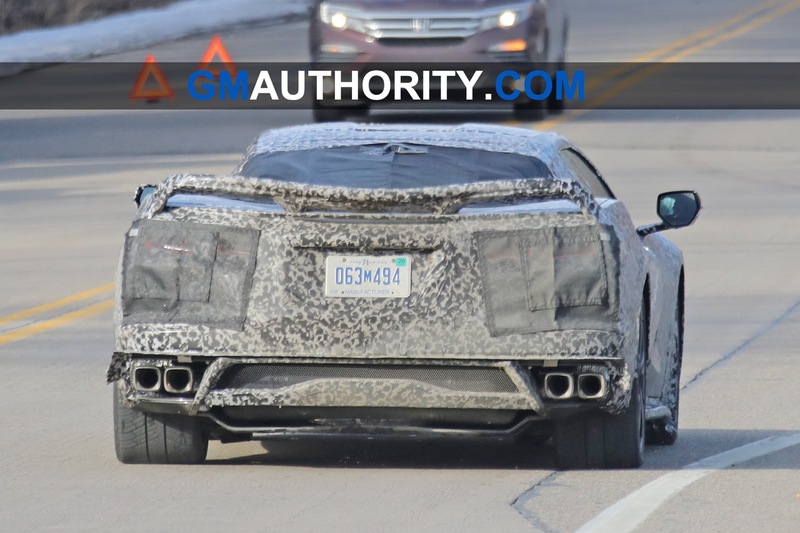 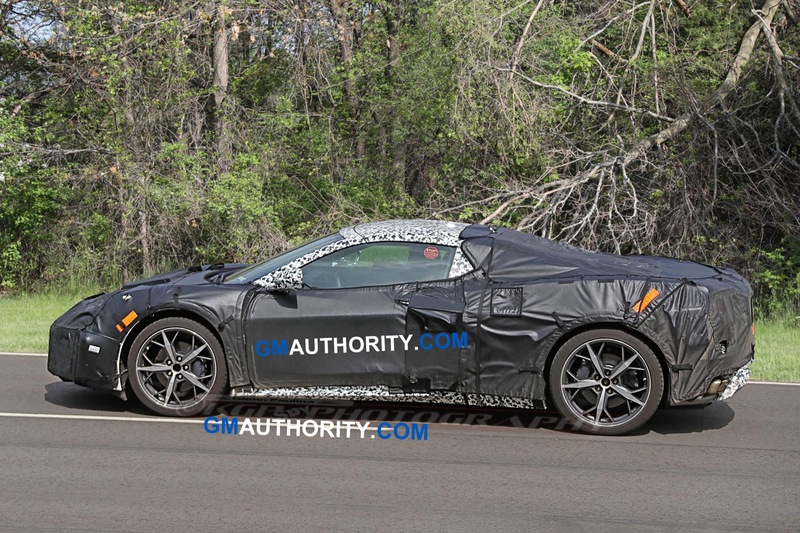 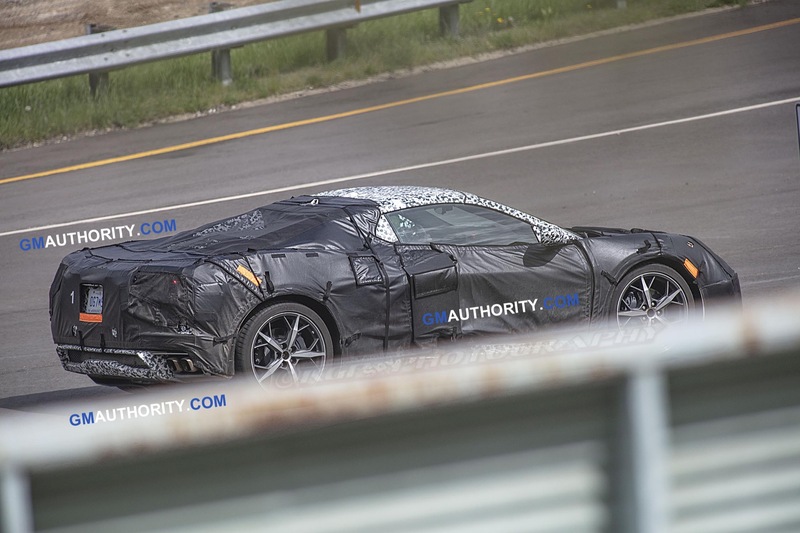 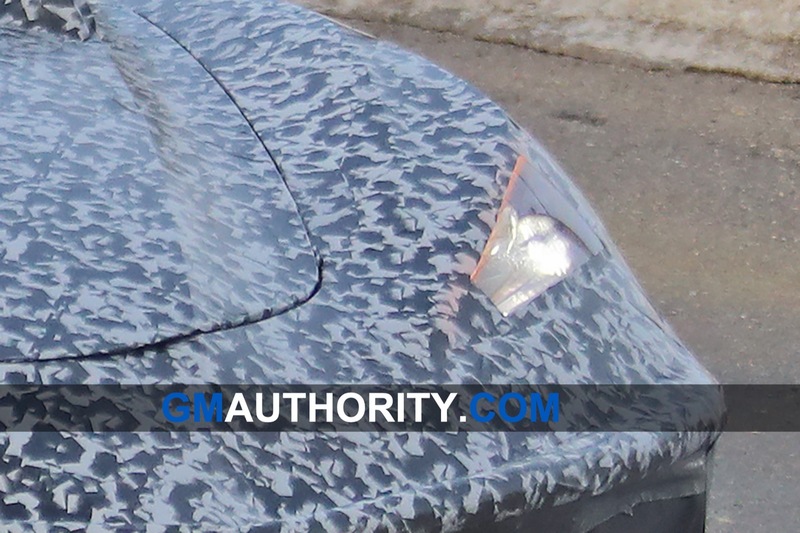 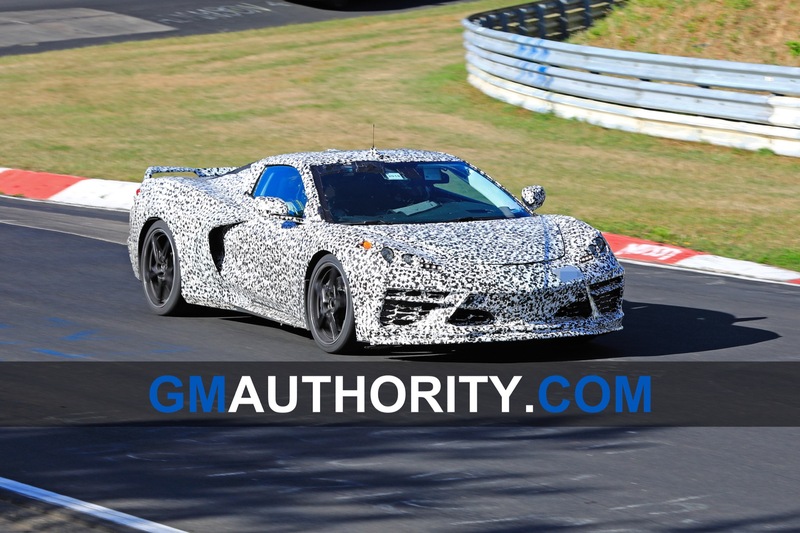 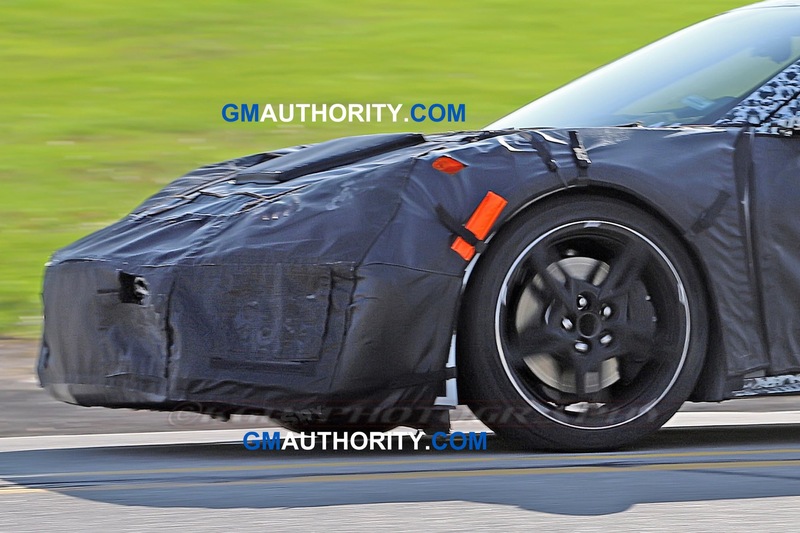 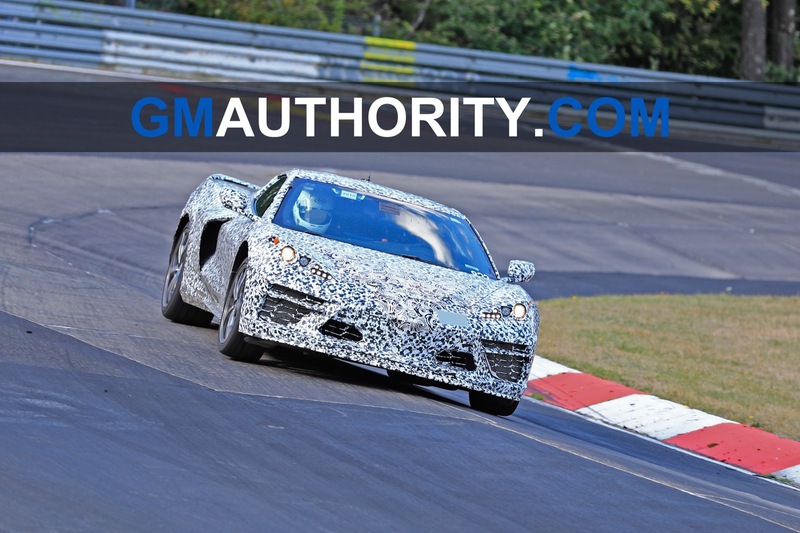 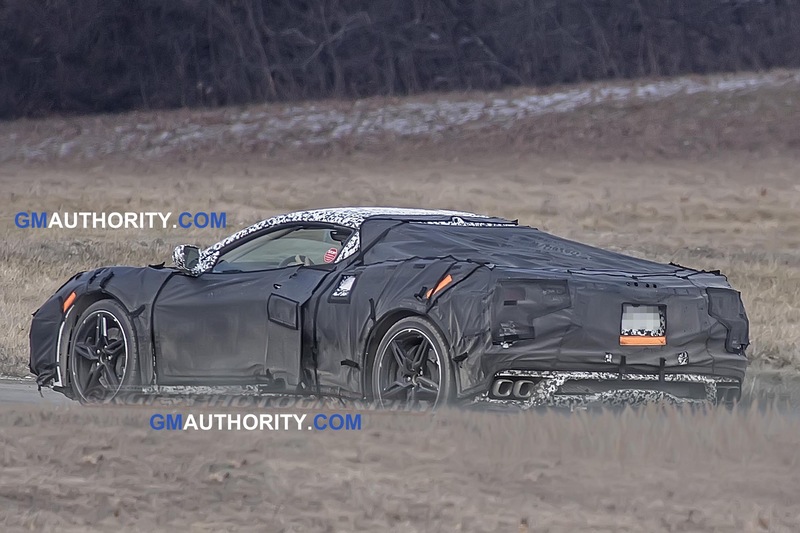 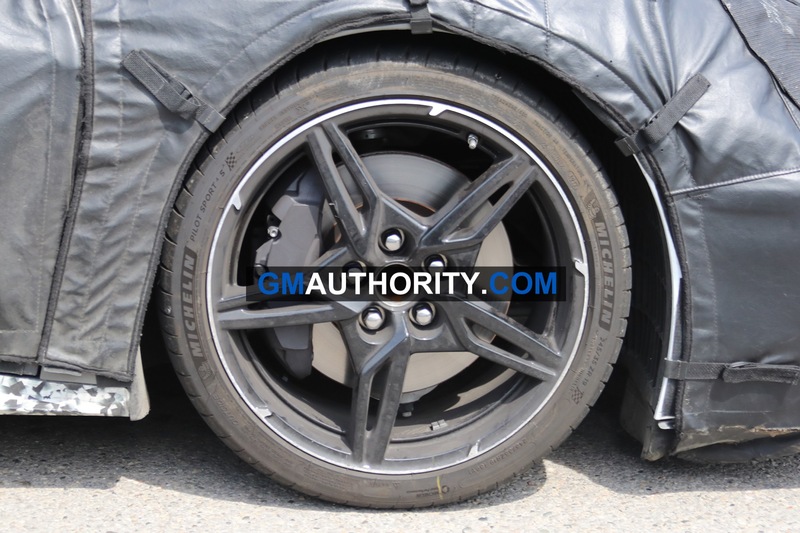 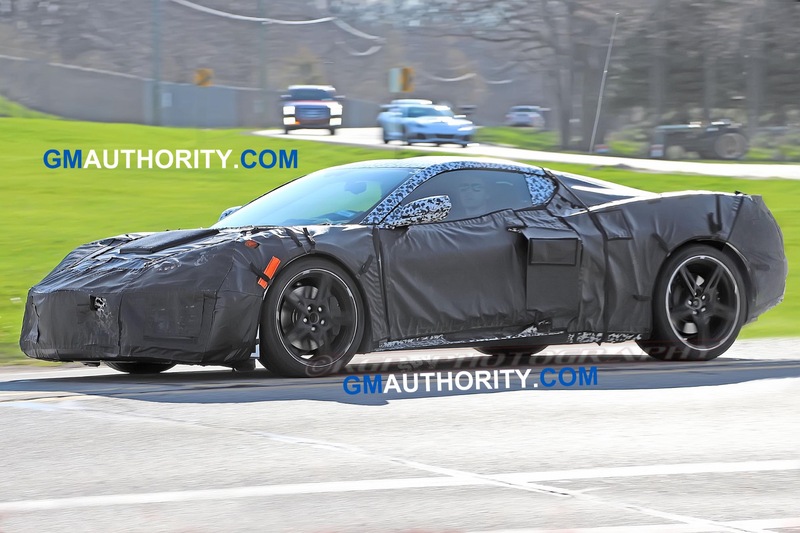 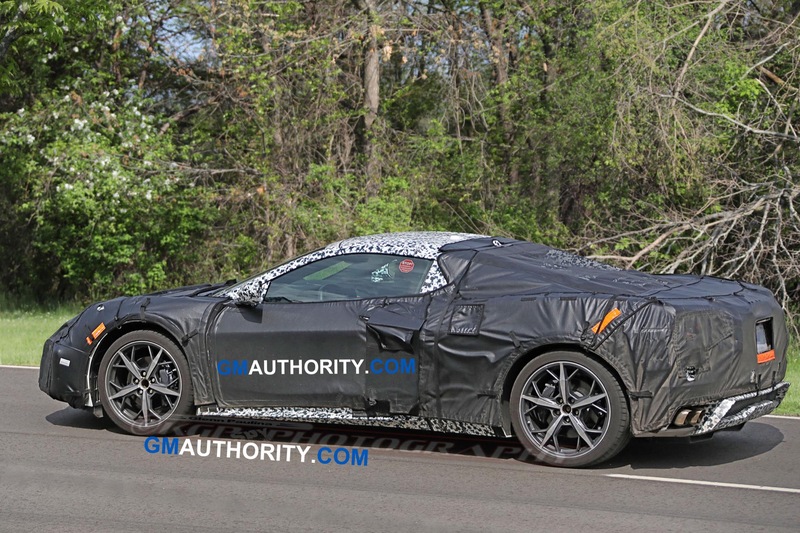 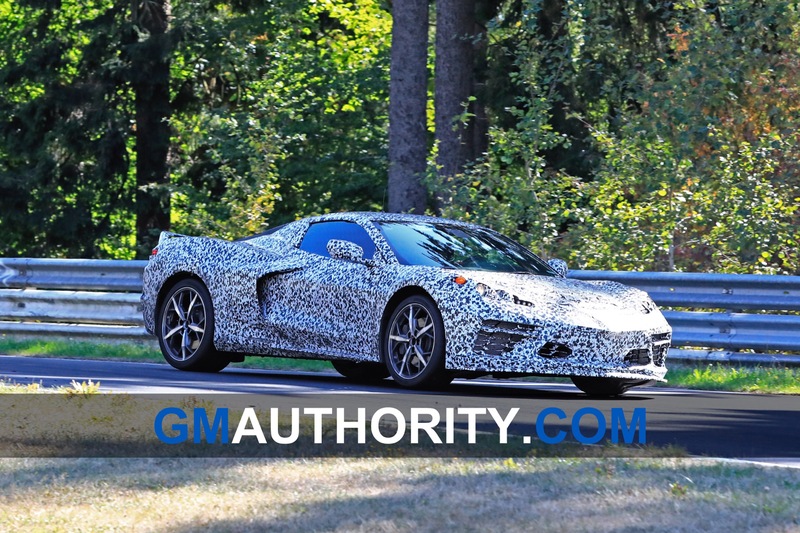 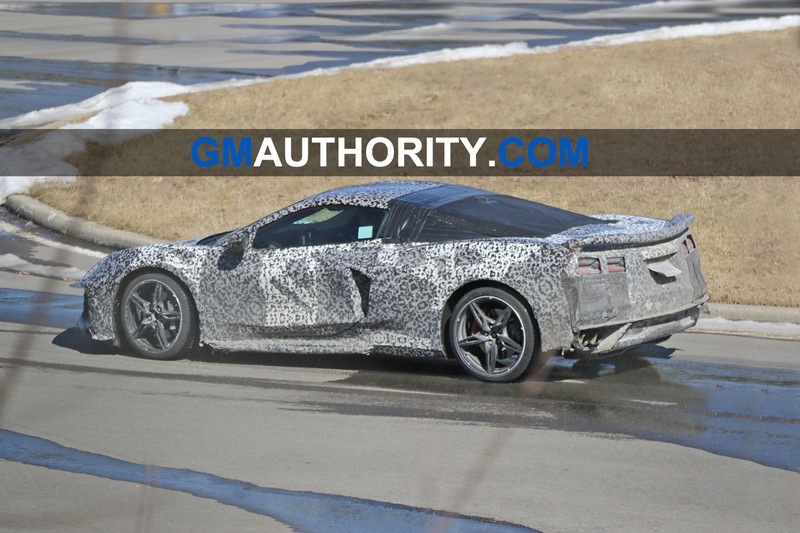 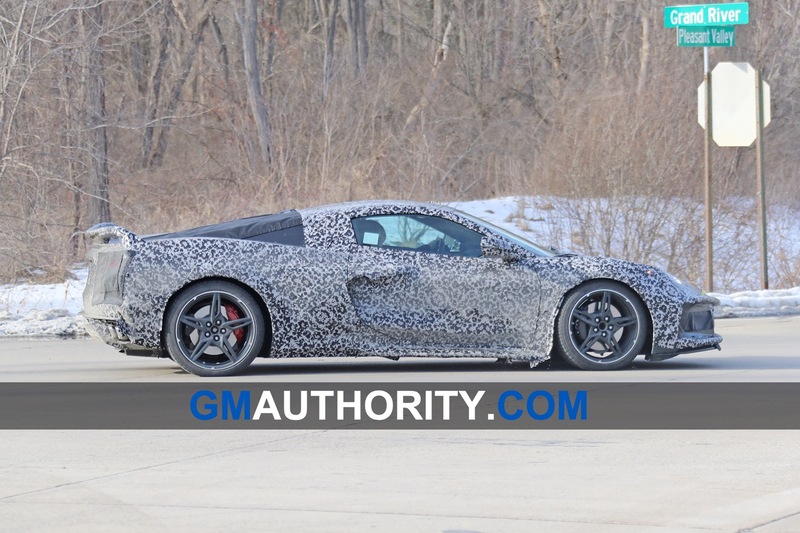 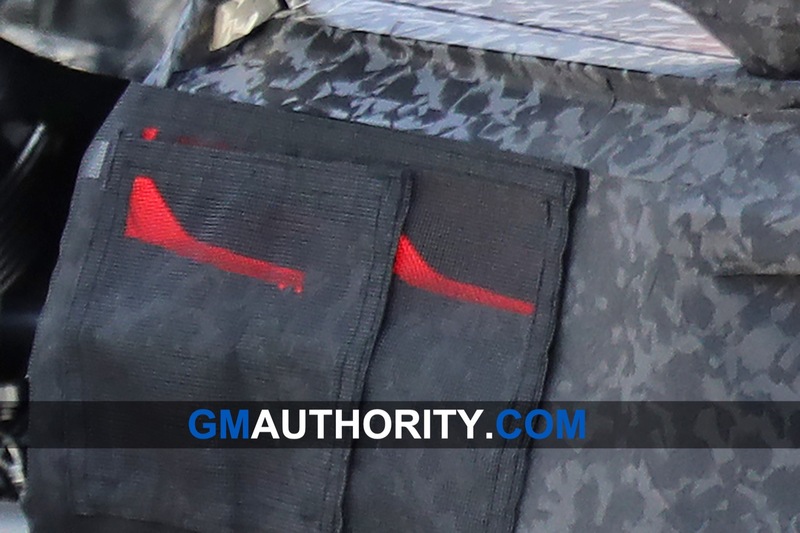 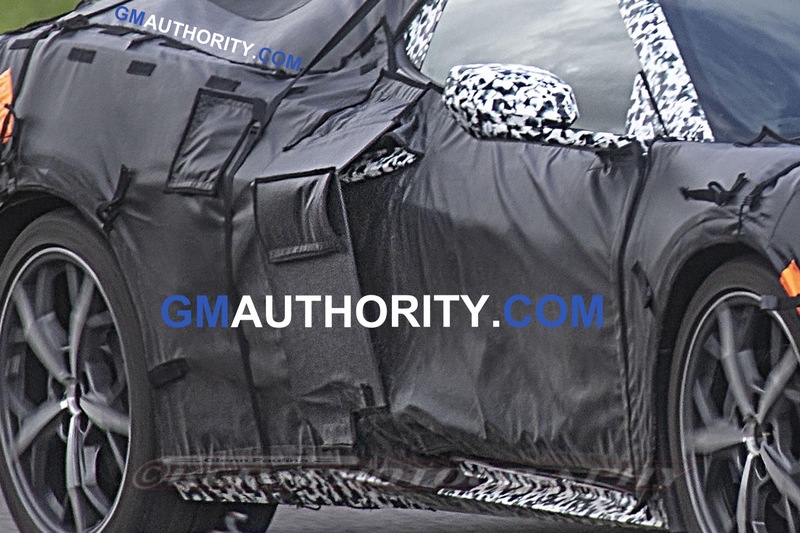 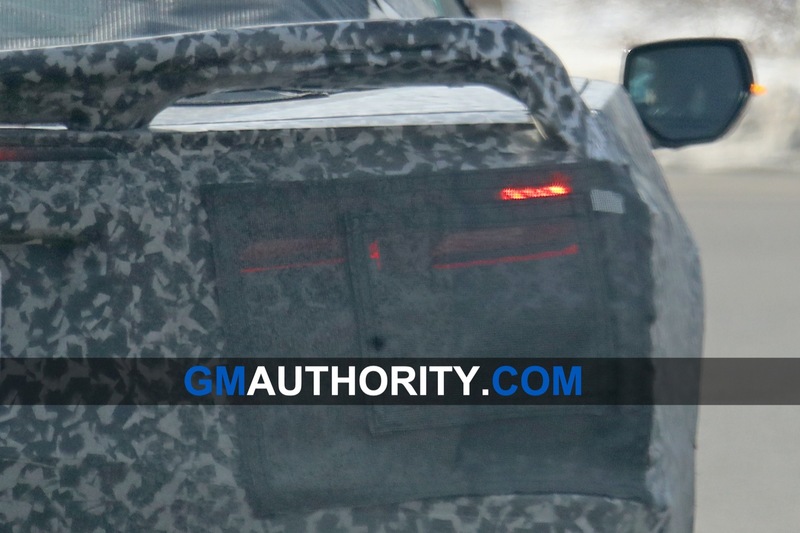 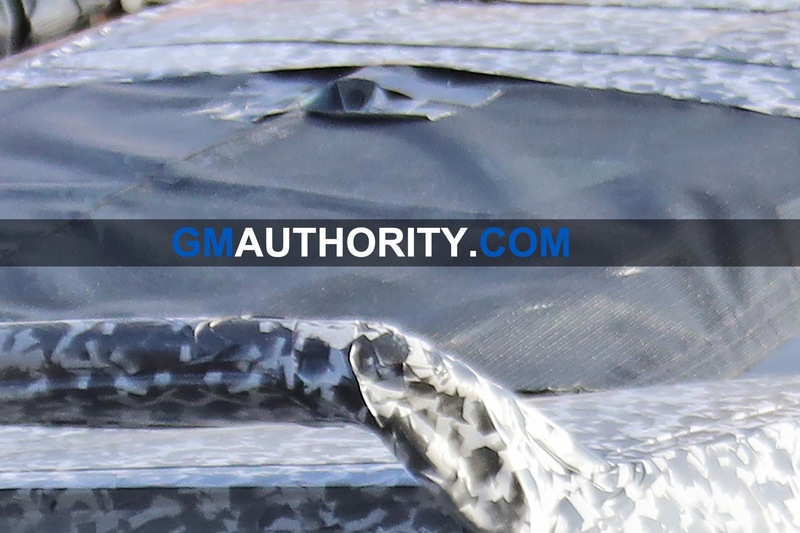 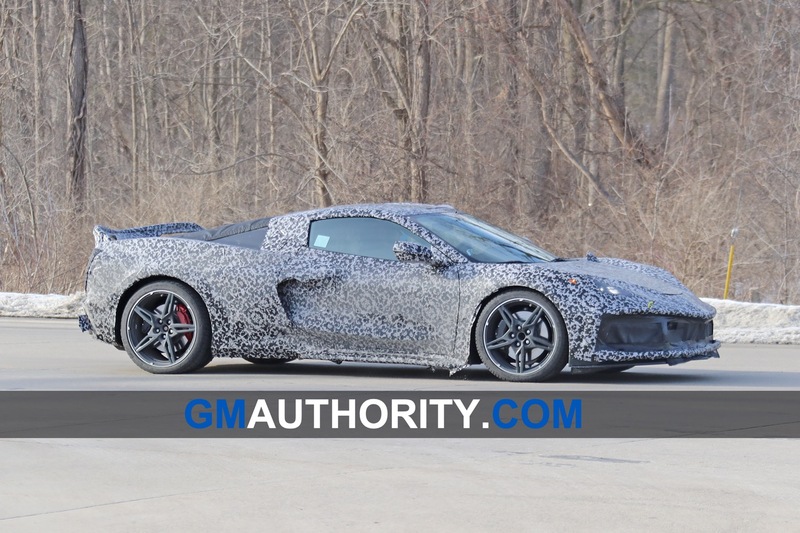 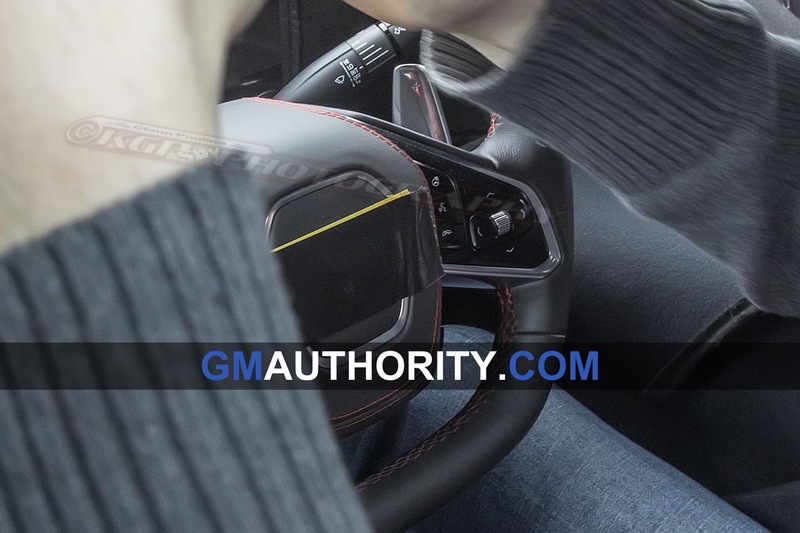 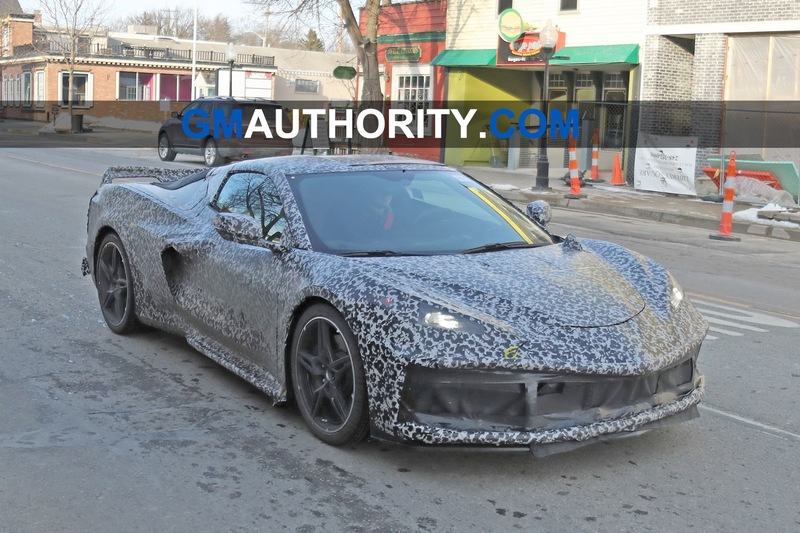 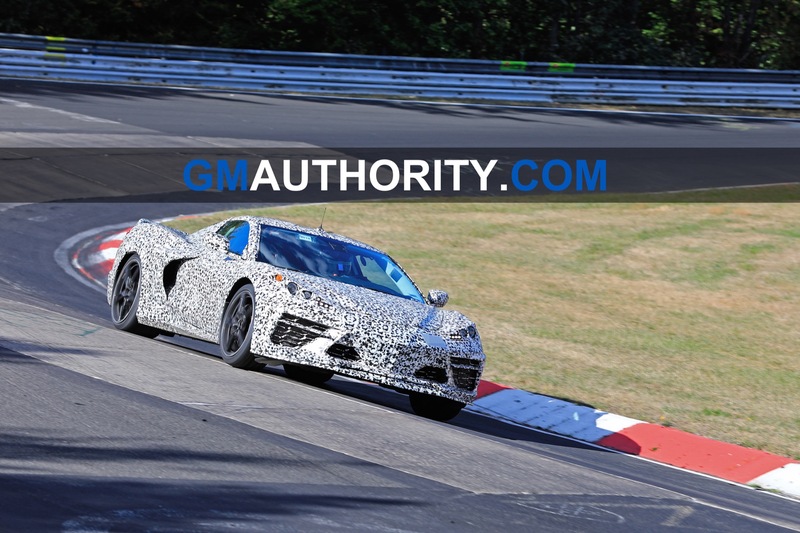 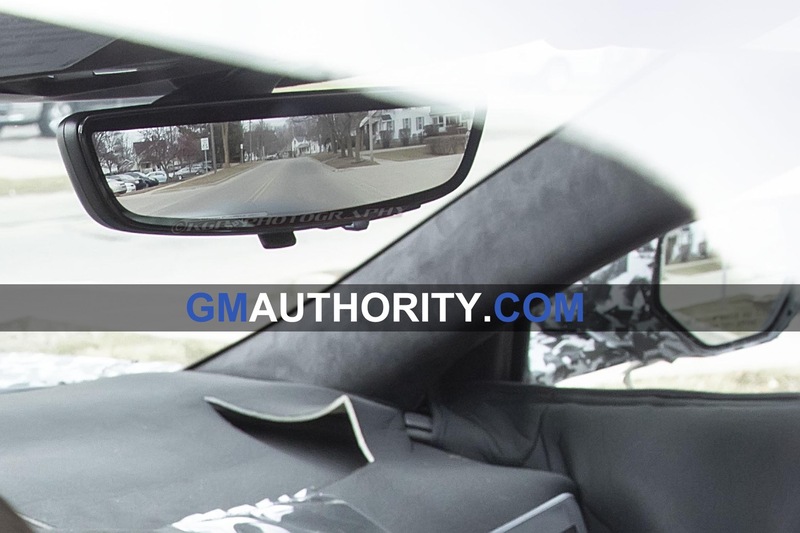 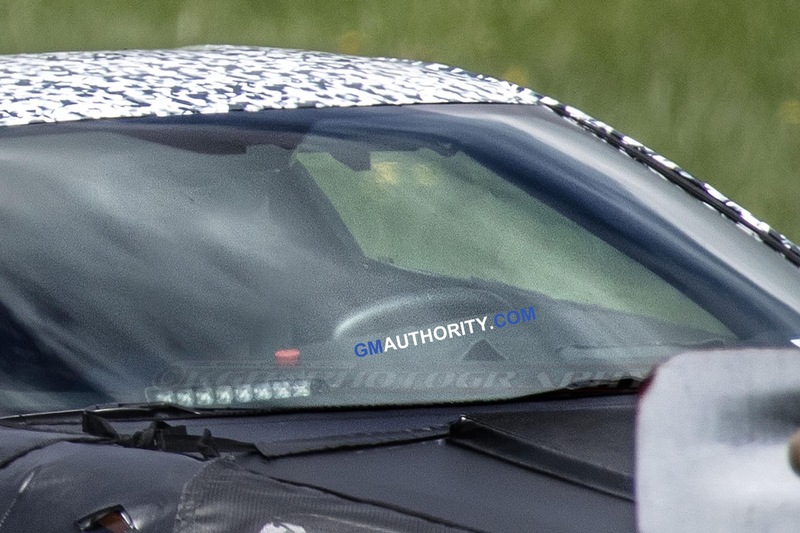 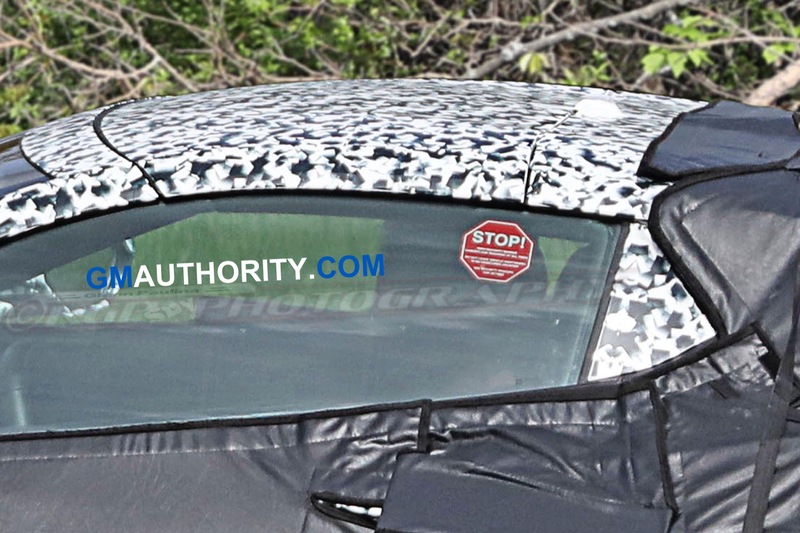 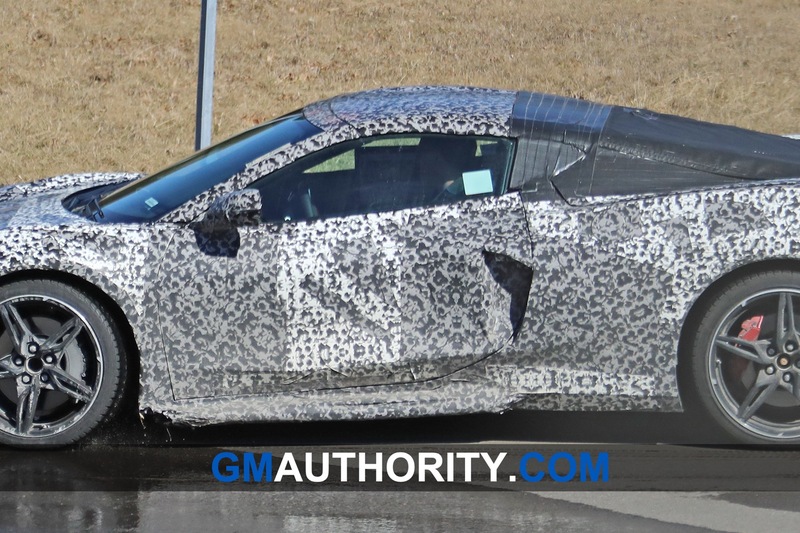 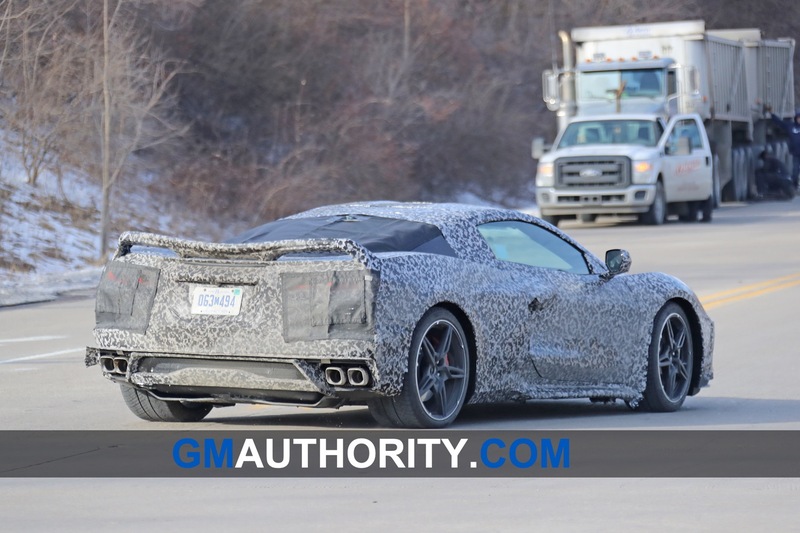 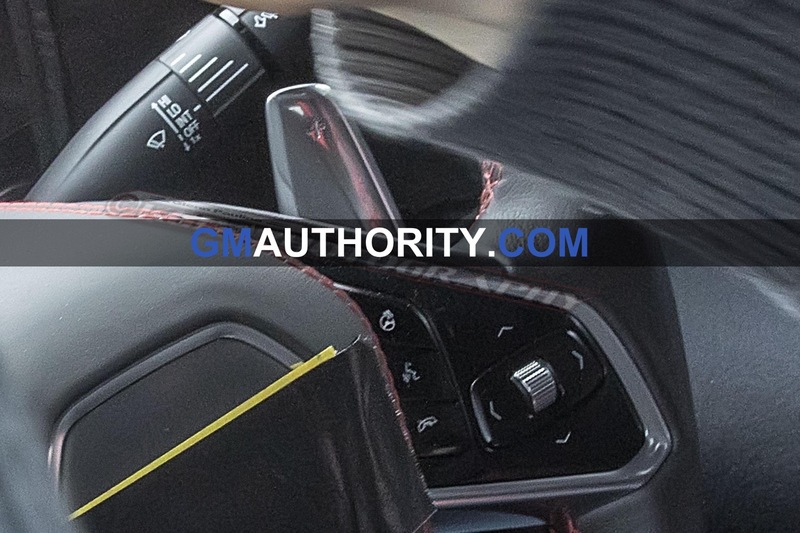 Stay tuned to GM Authority for the latest mid-engine Corvette news. 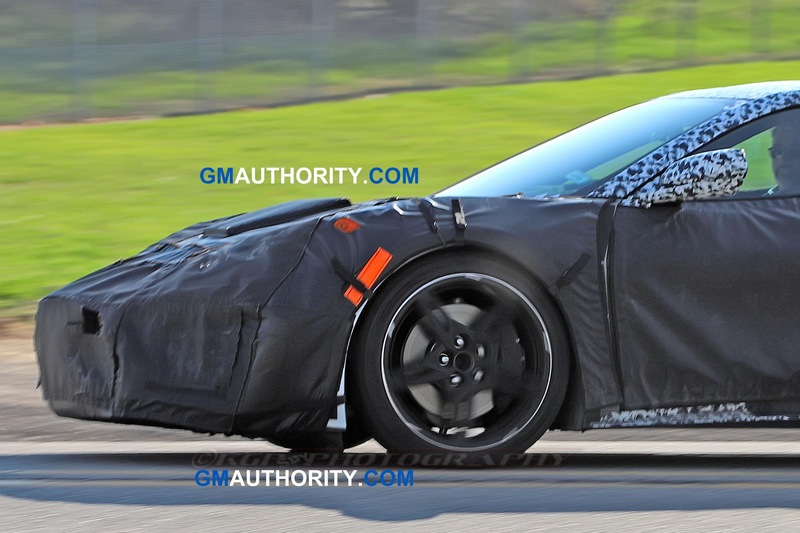 Part of me thinks that Cadillac should take the absolute lead role of any mid-engine projects from GM…. 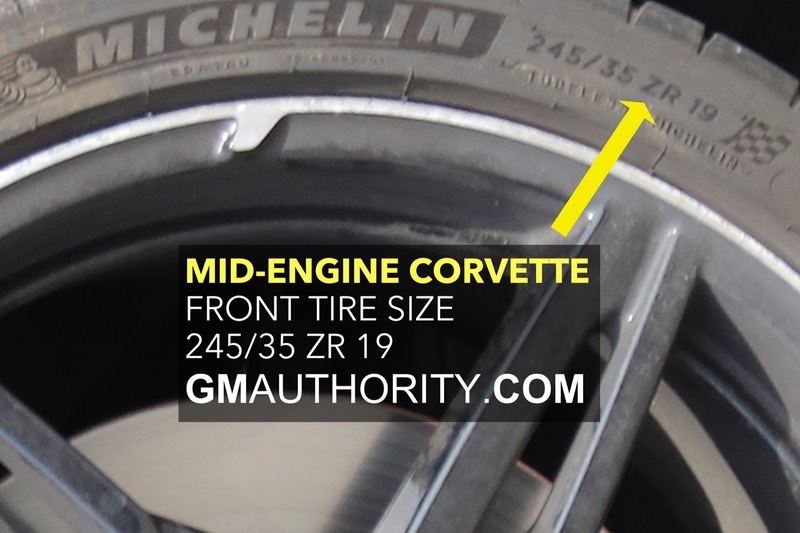 The other part of me thinks that stop motion Lego shorts aren’t the best way to argue for this.